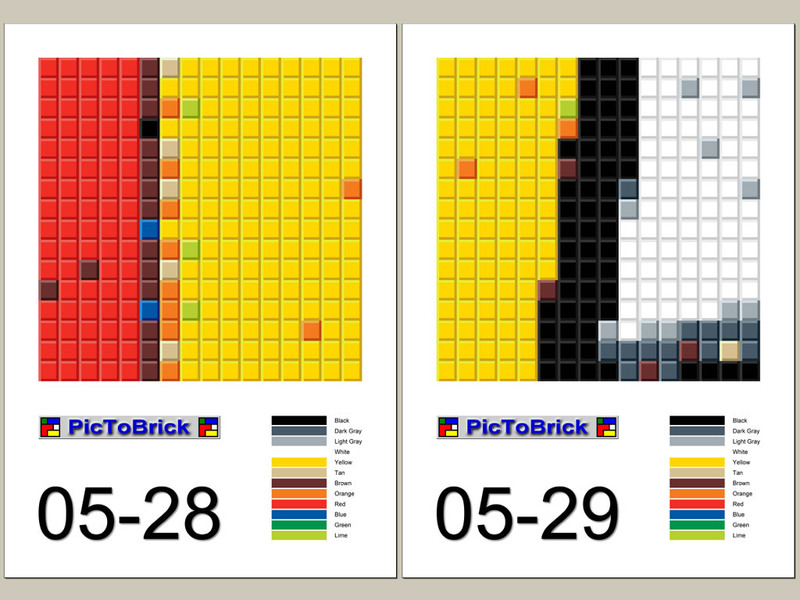 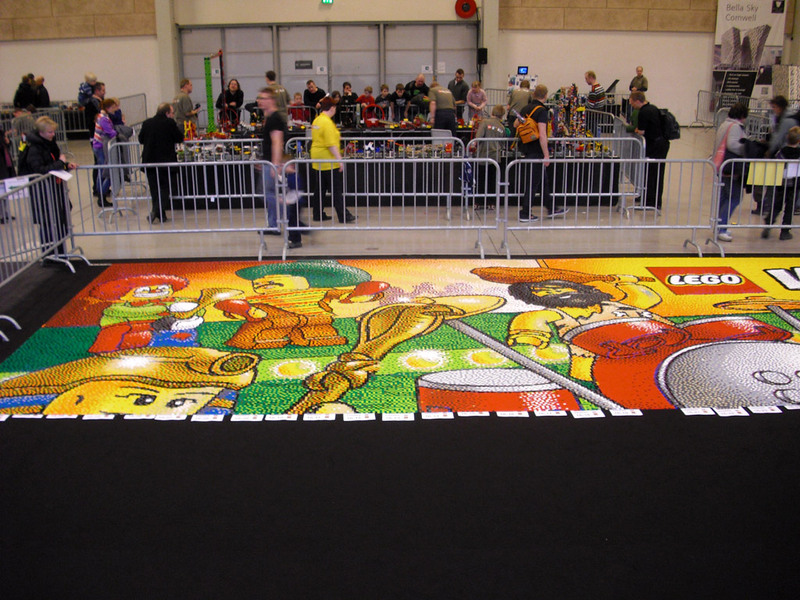 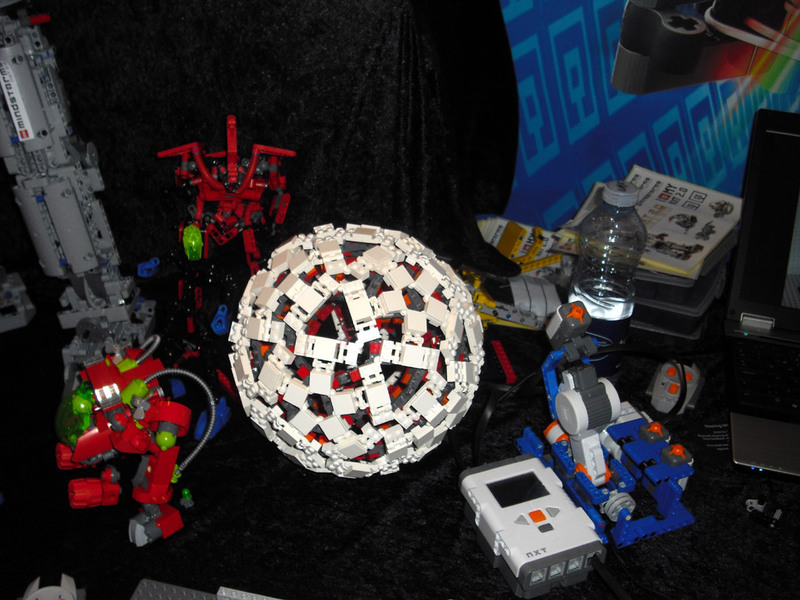 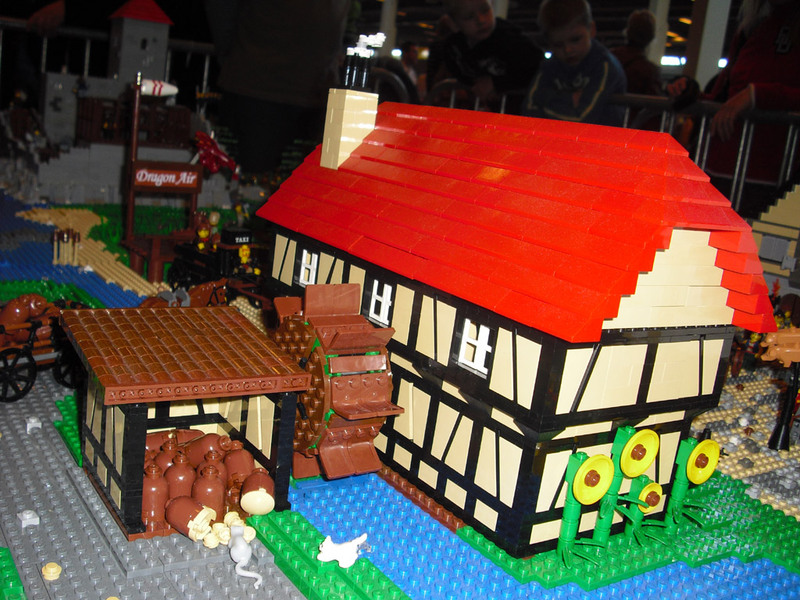 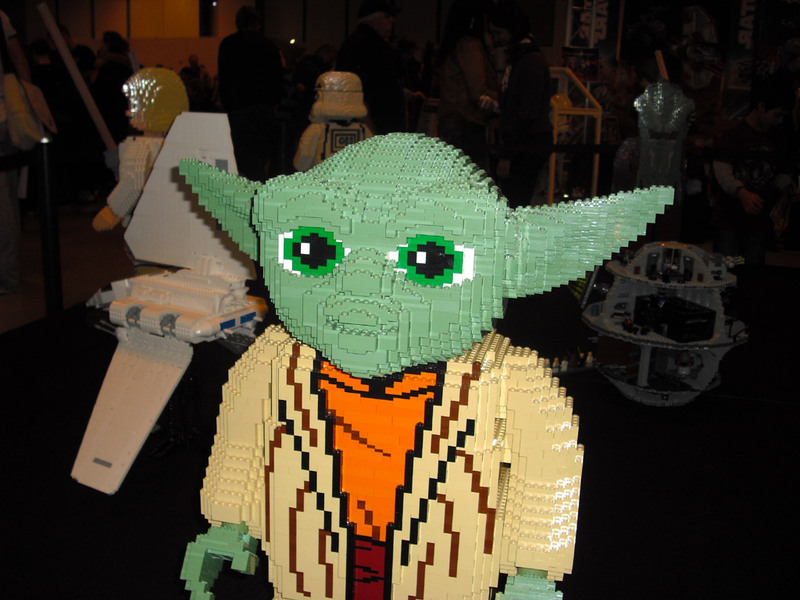 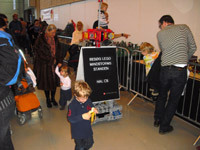 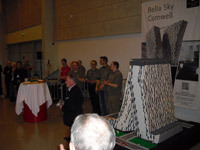 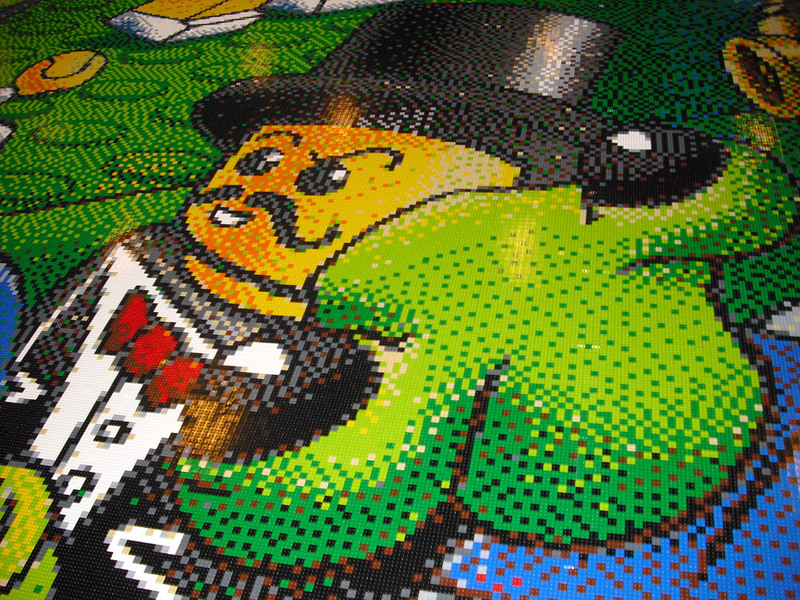 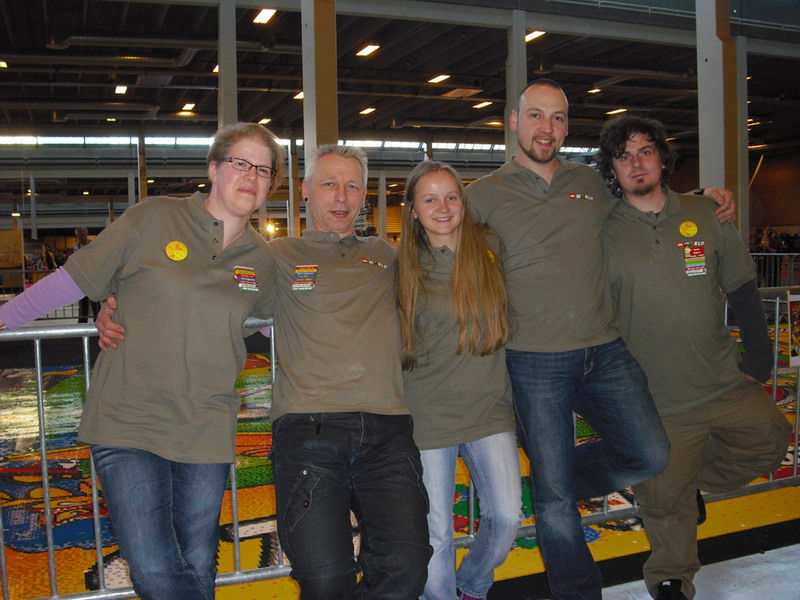 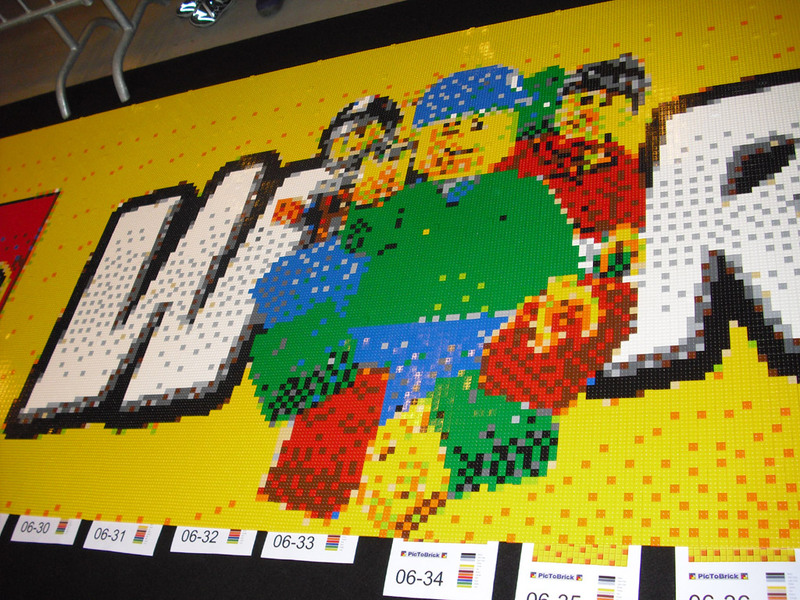 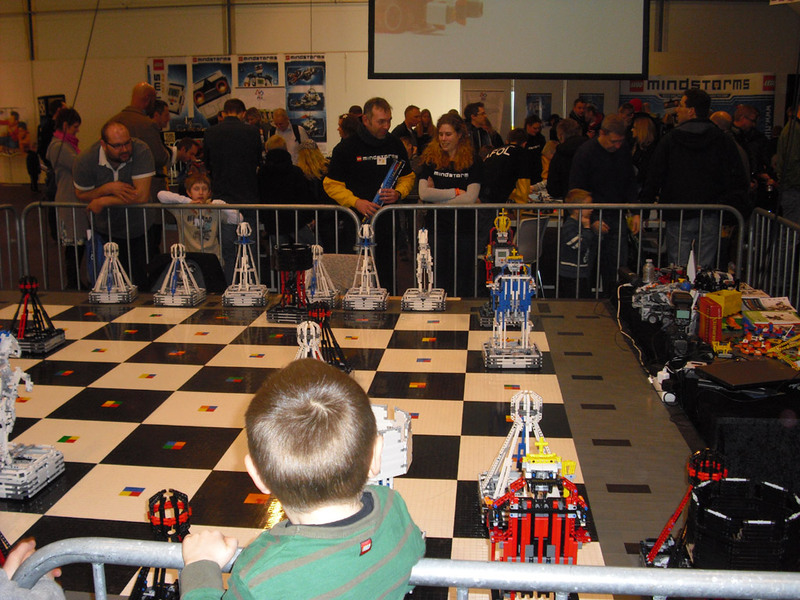 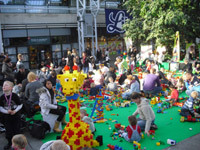 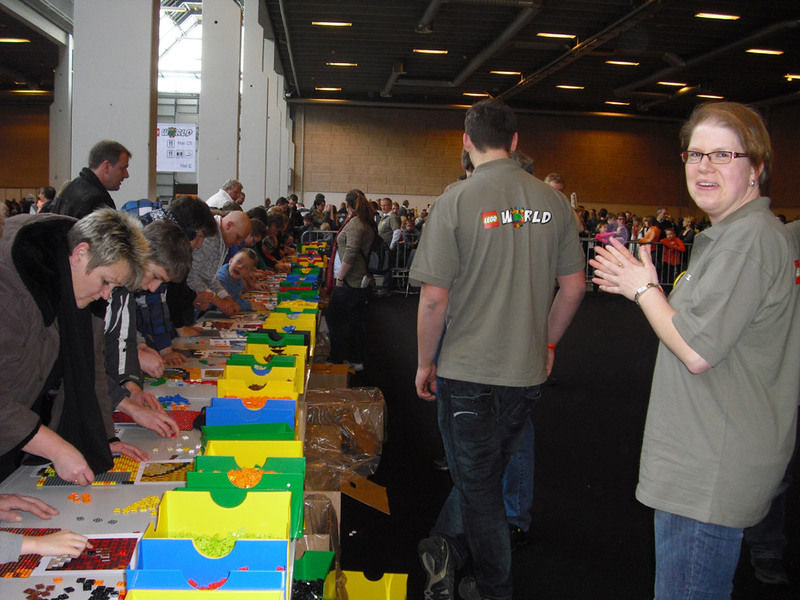 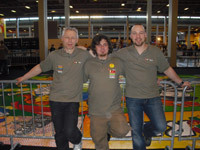 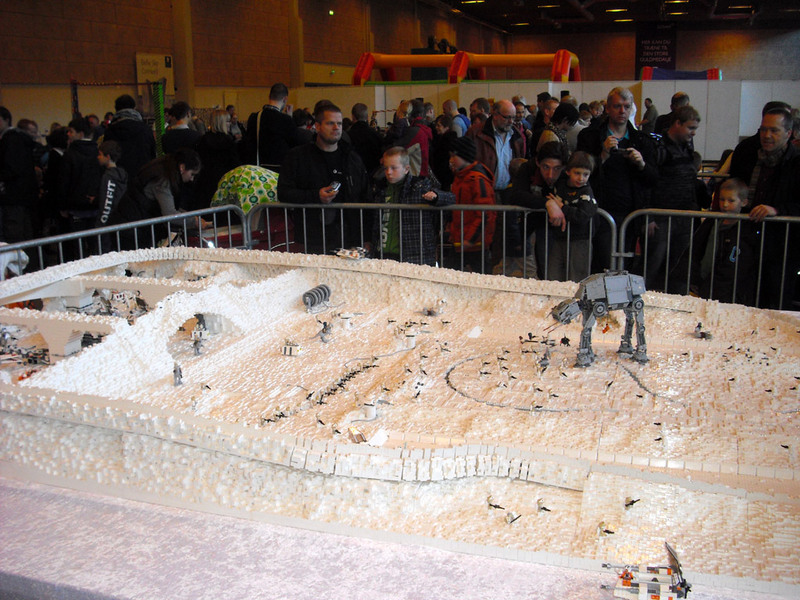 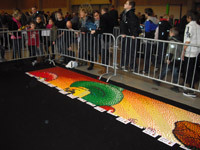 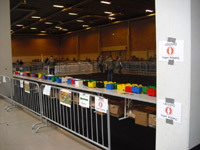 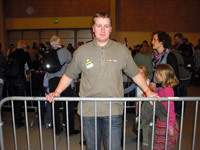 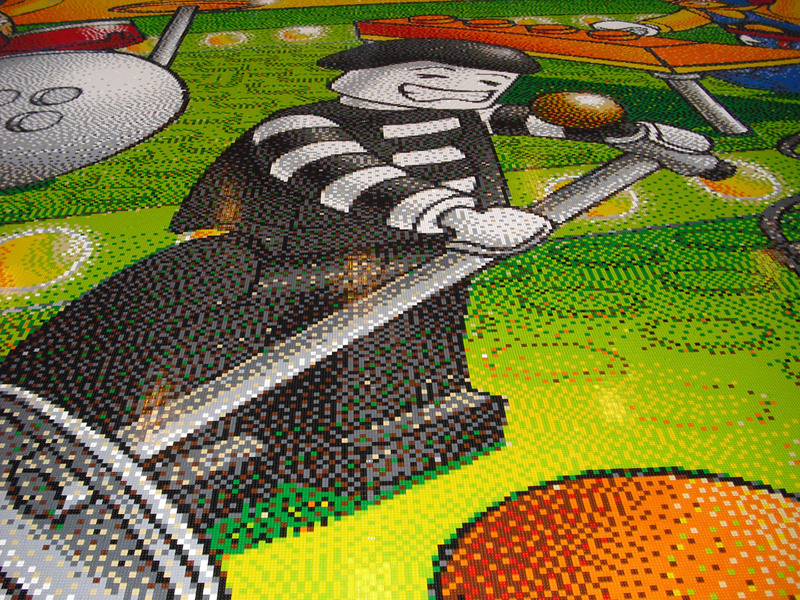 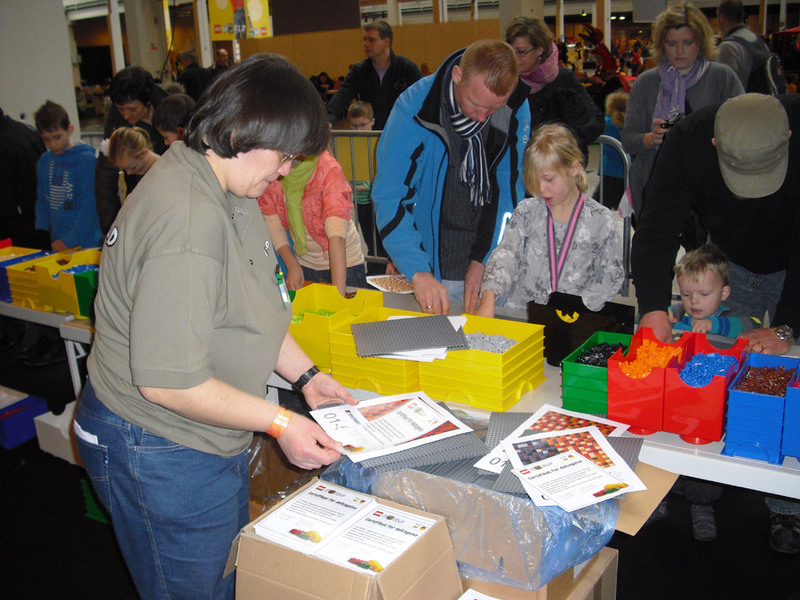 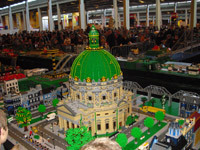 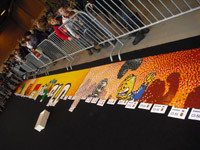 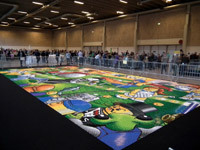 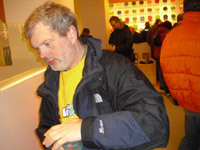 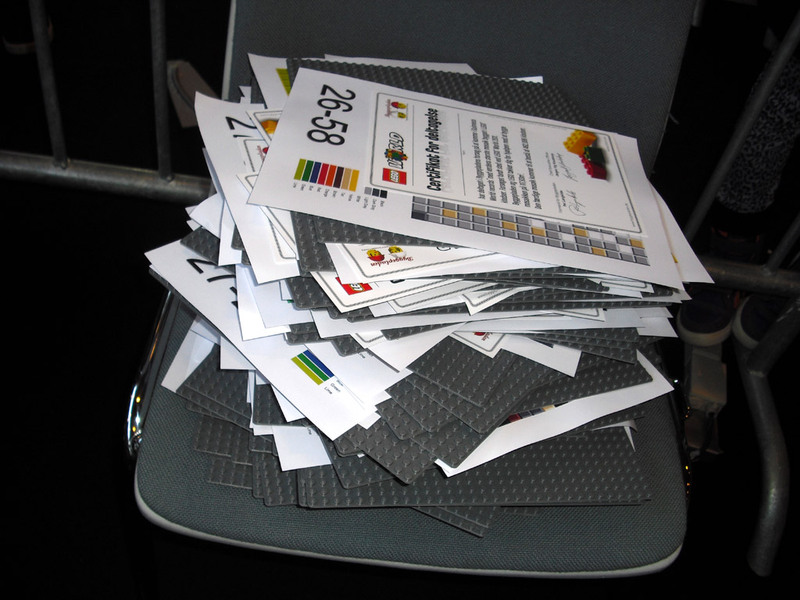 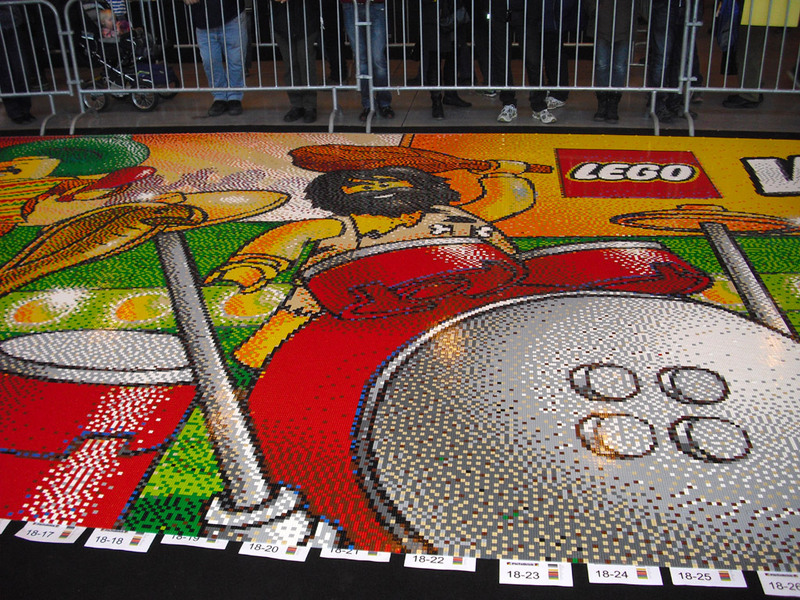 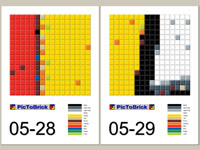 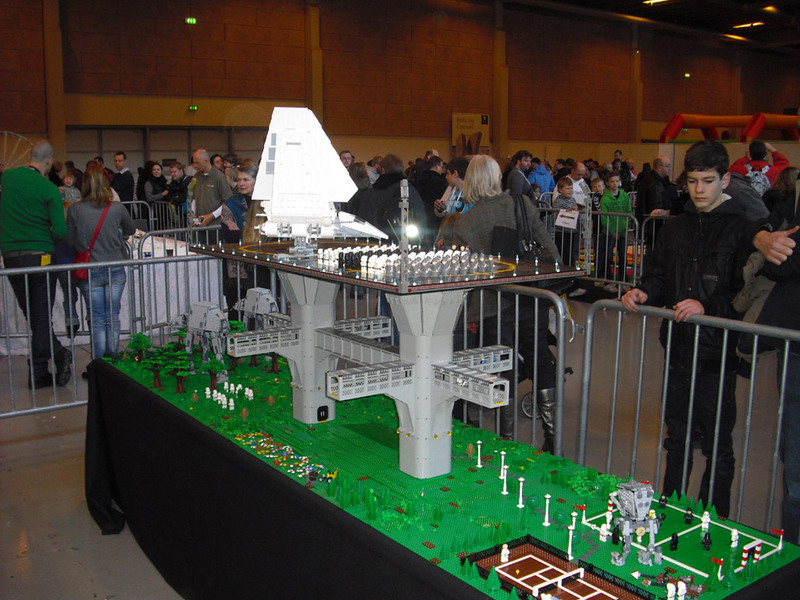 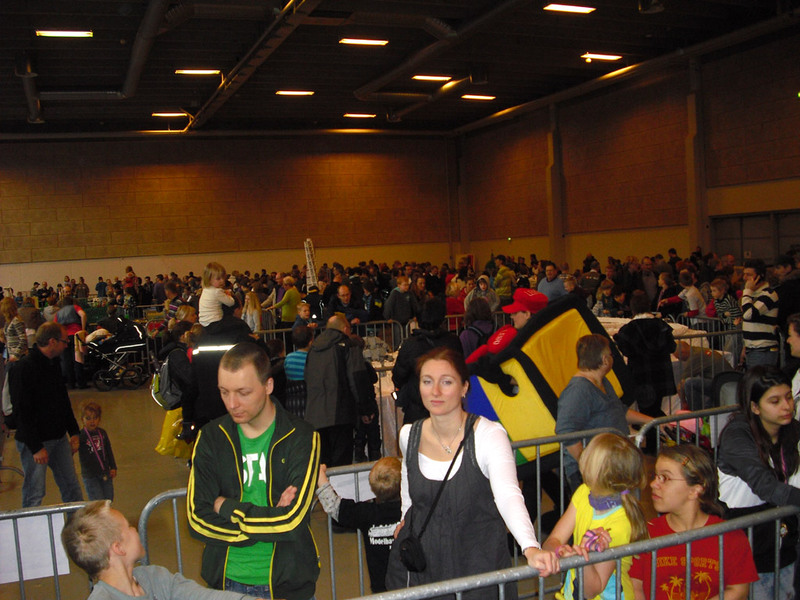 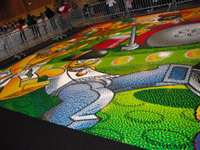 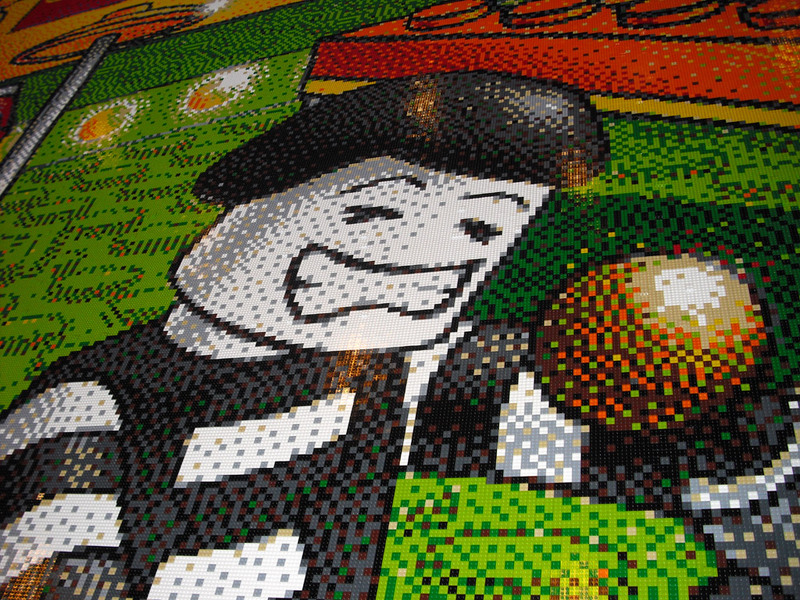 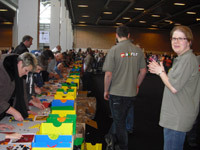 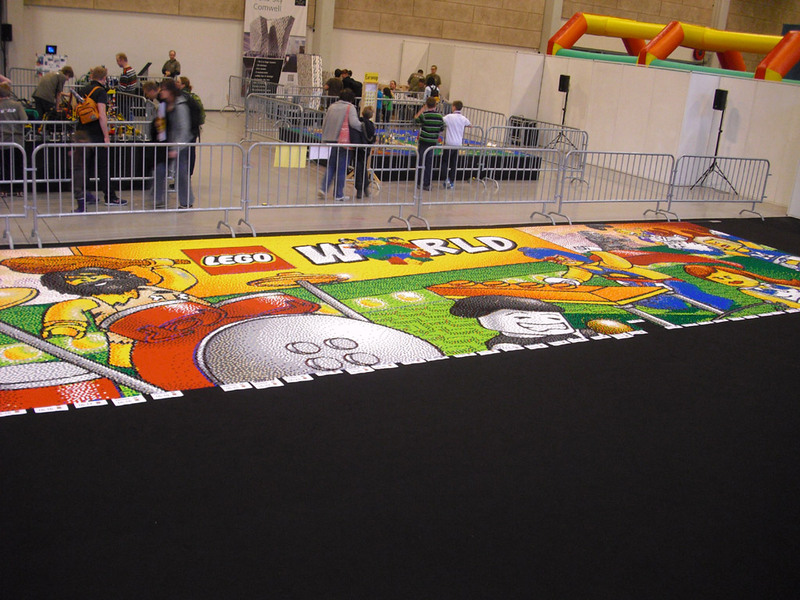 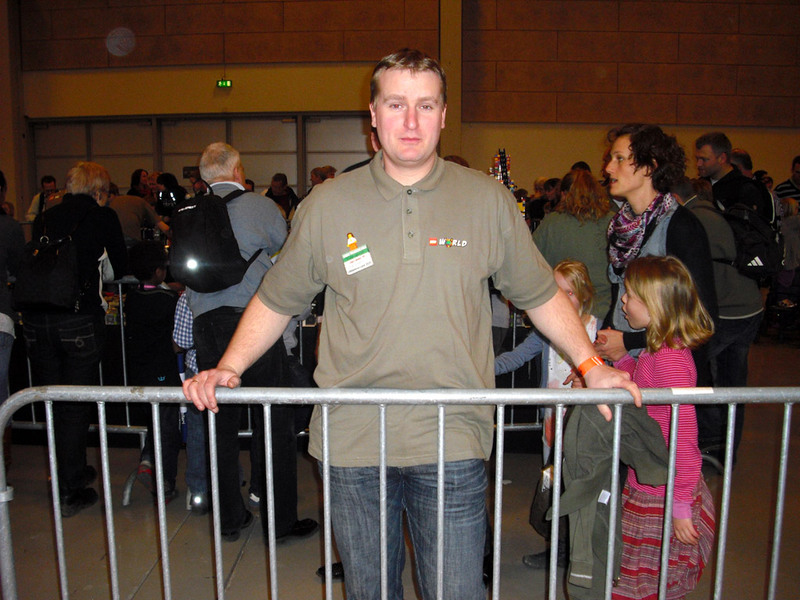 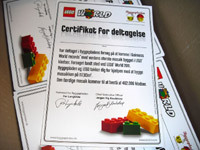 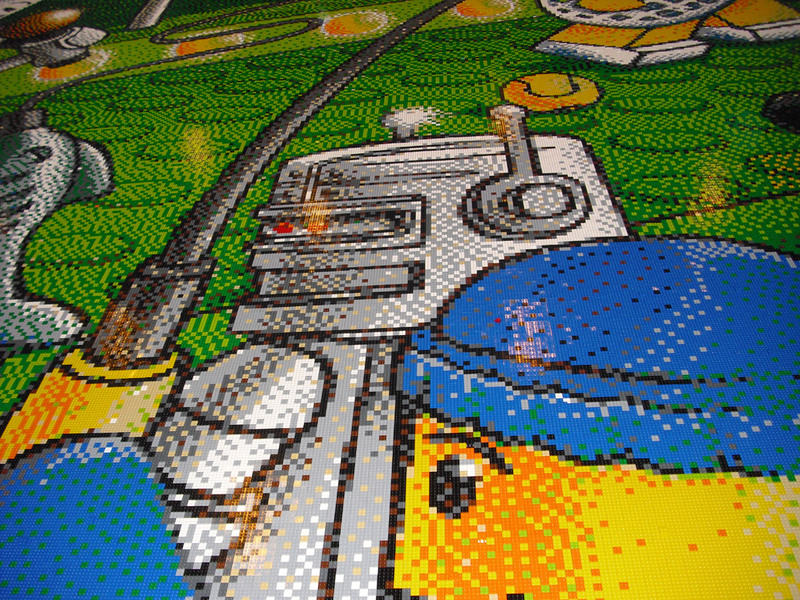 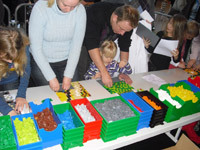 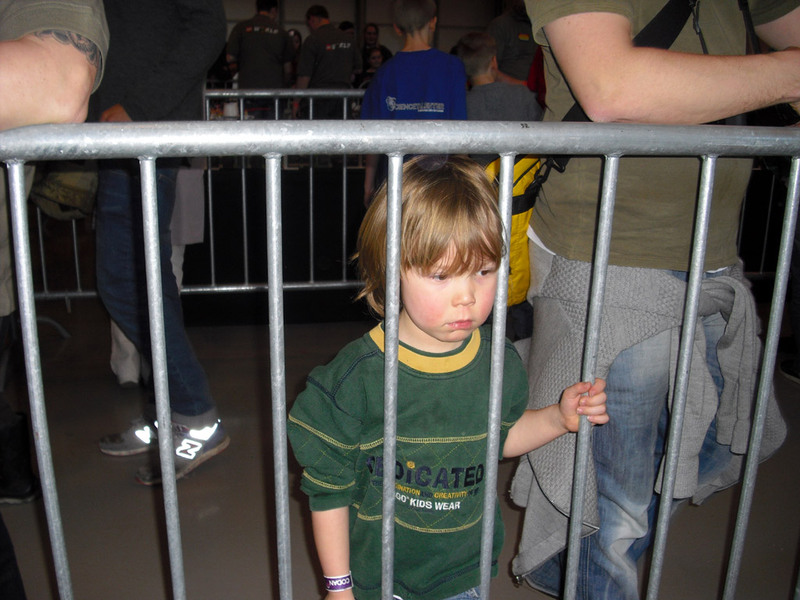 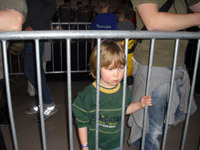 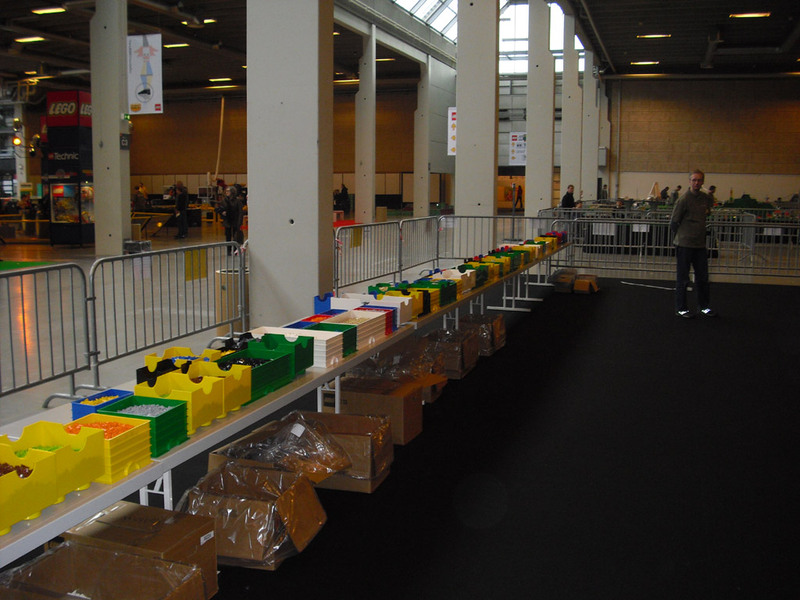 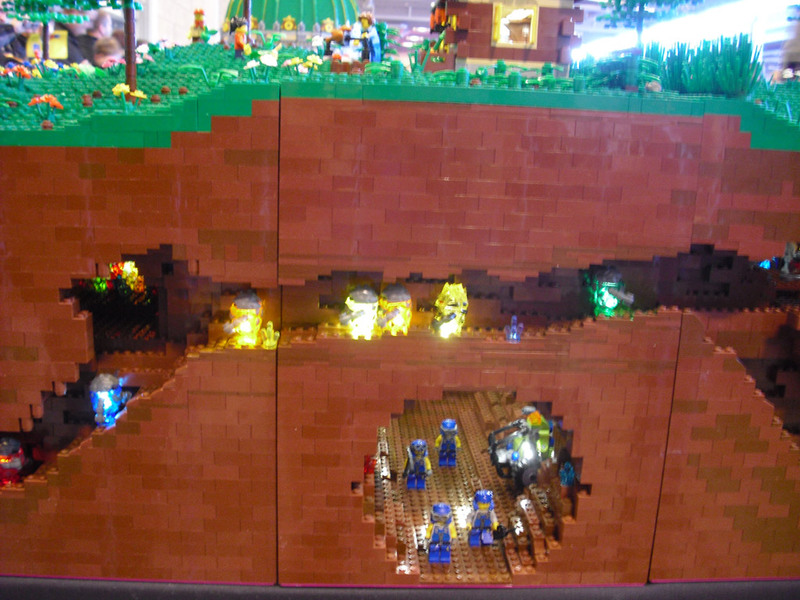 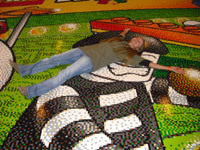 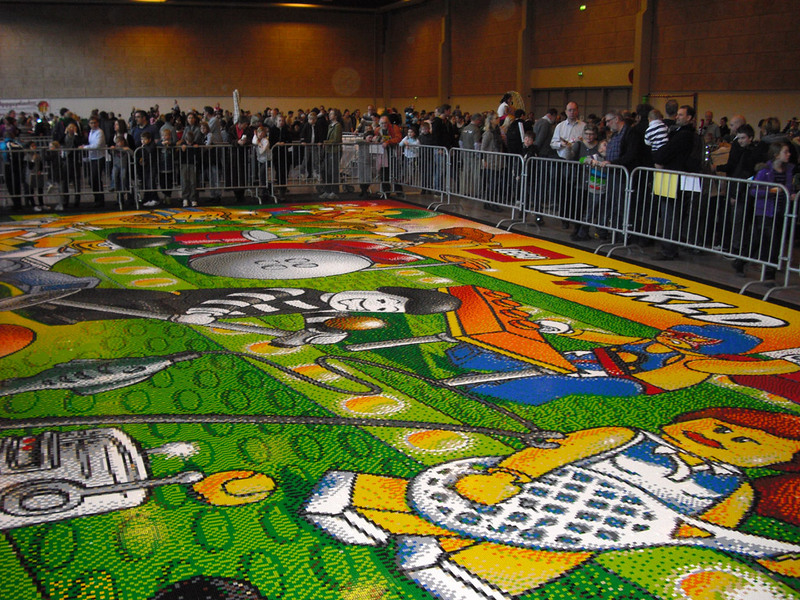 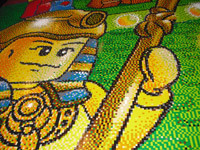 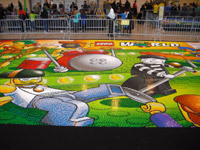 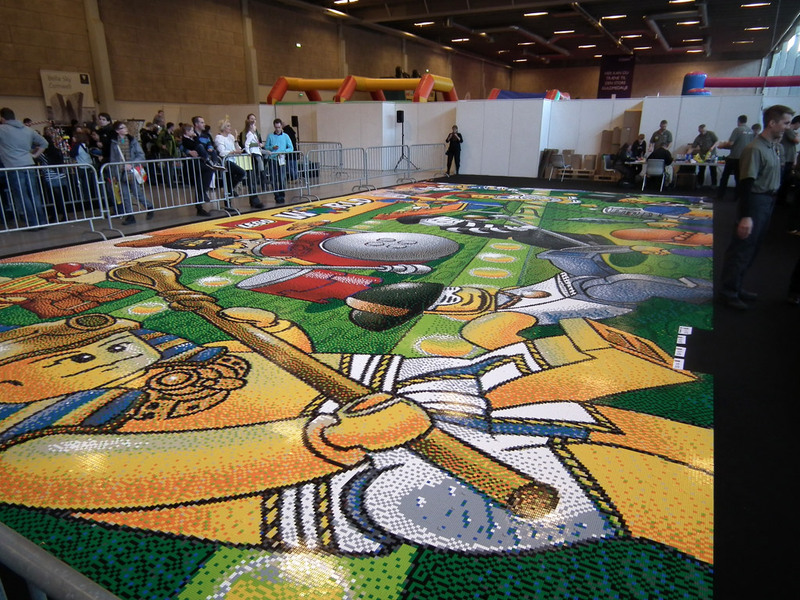 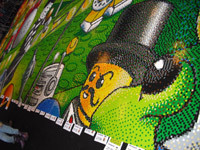 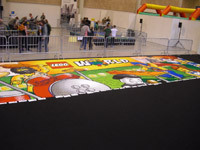 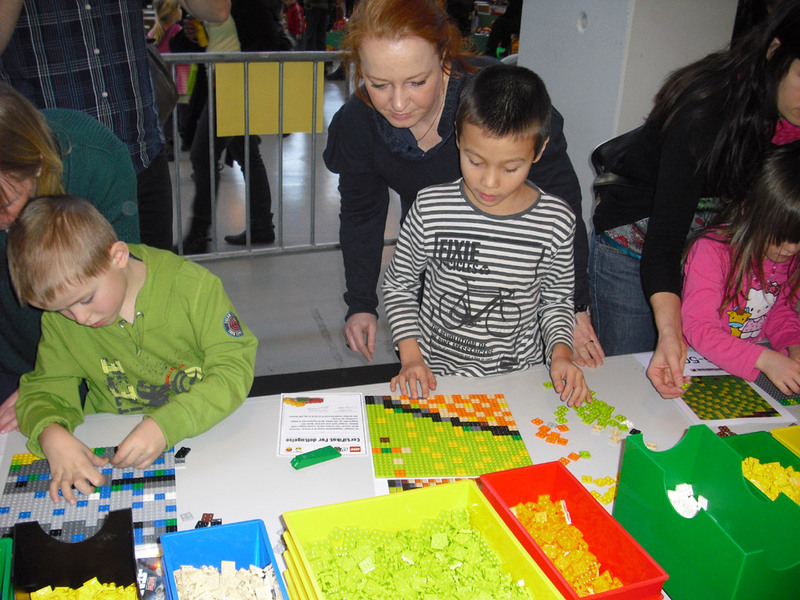 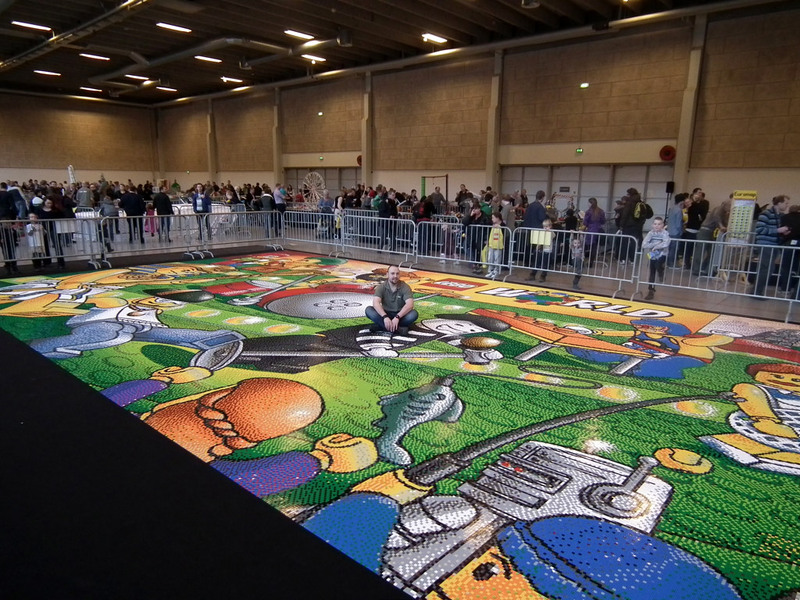 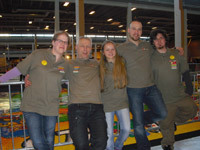 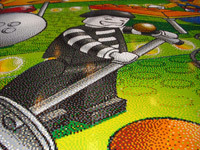 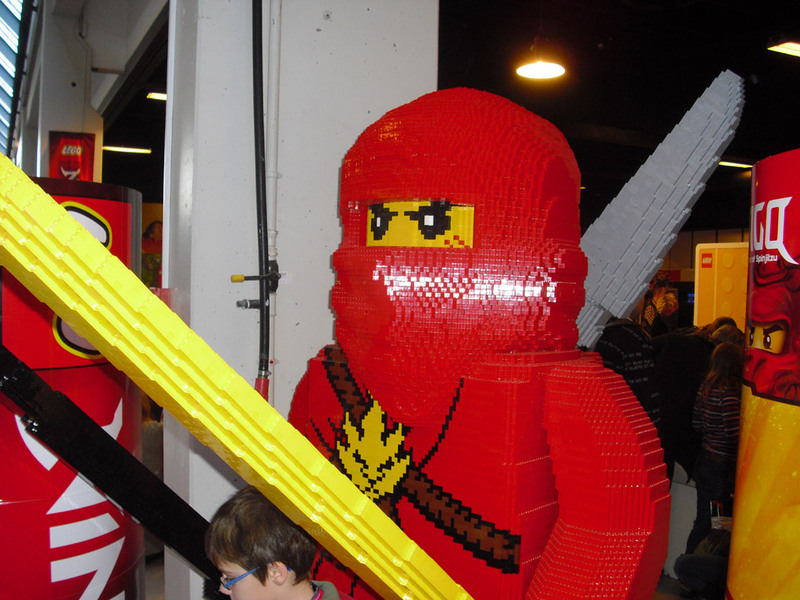 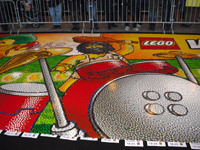 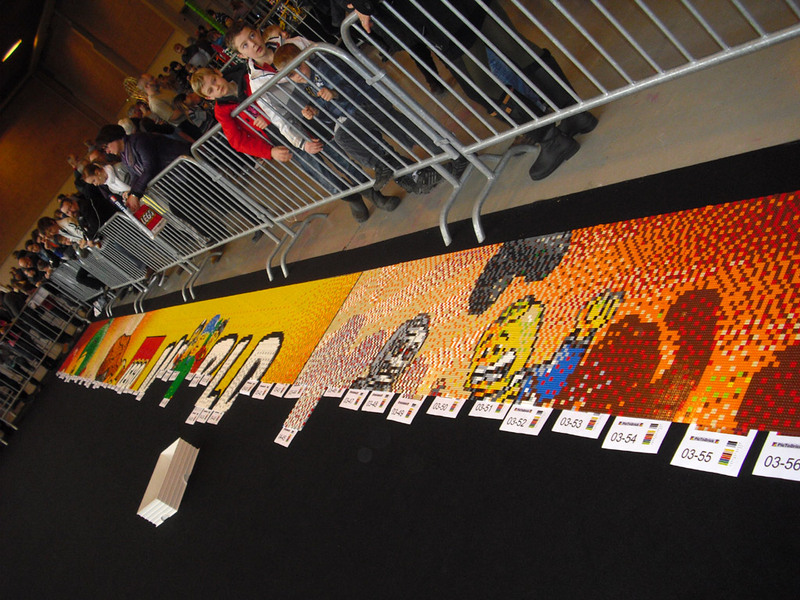 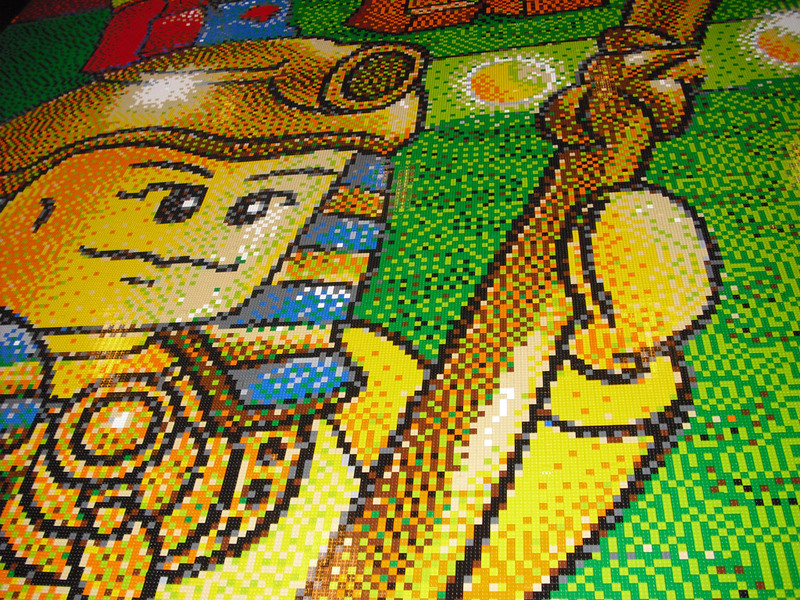 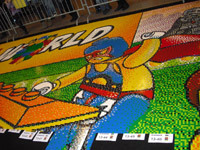 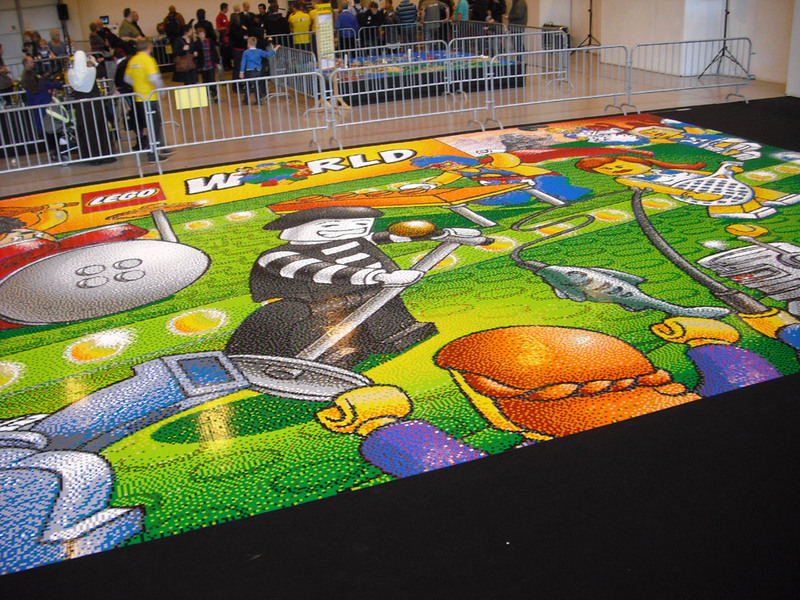 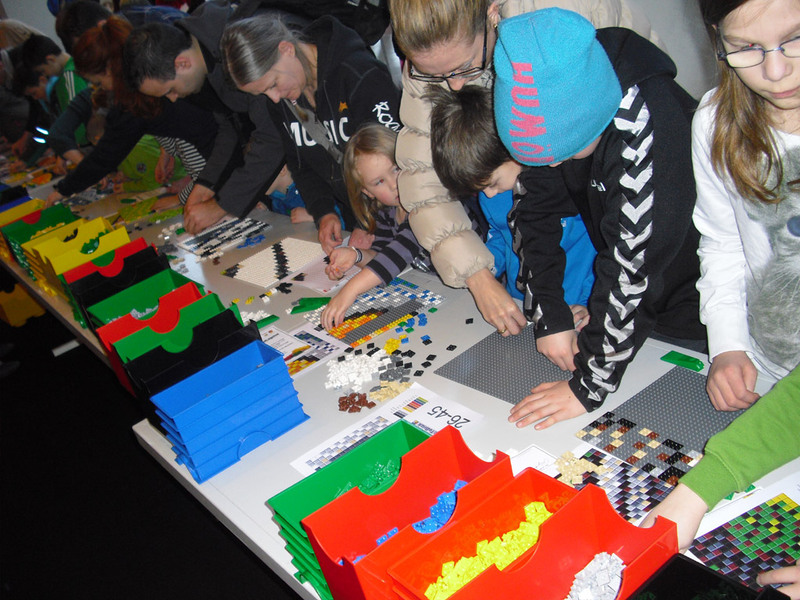 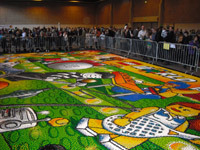 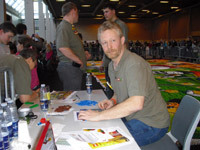 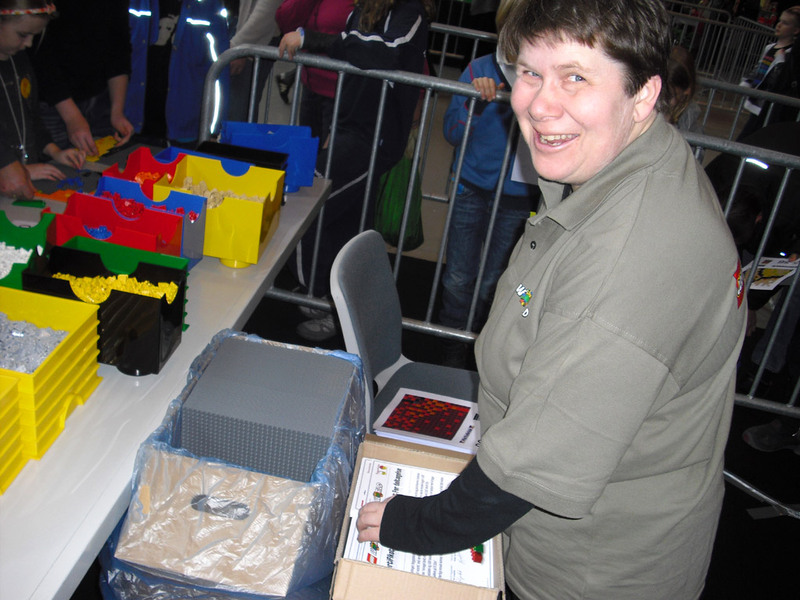 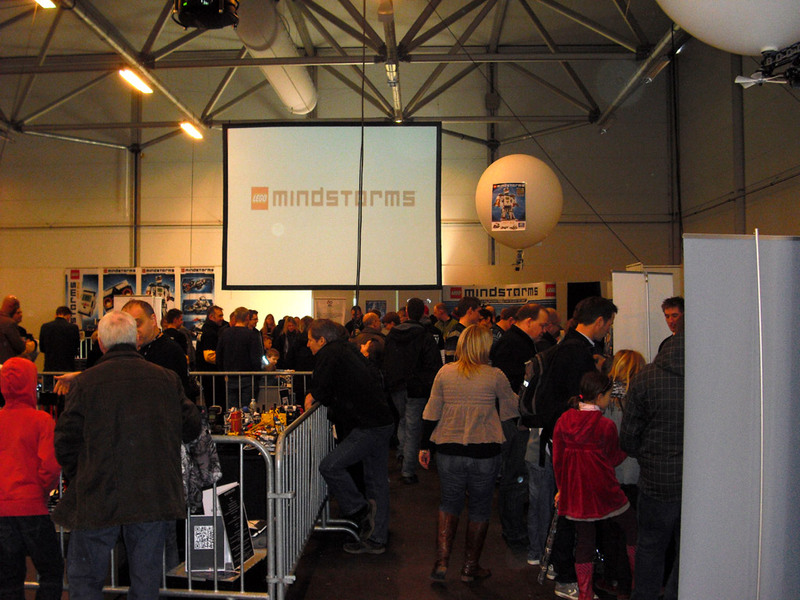 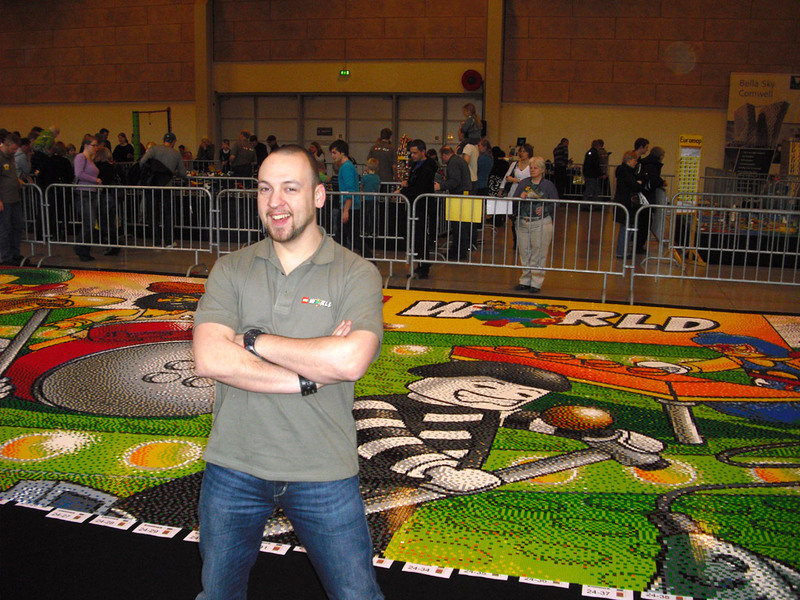 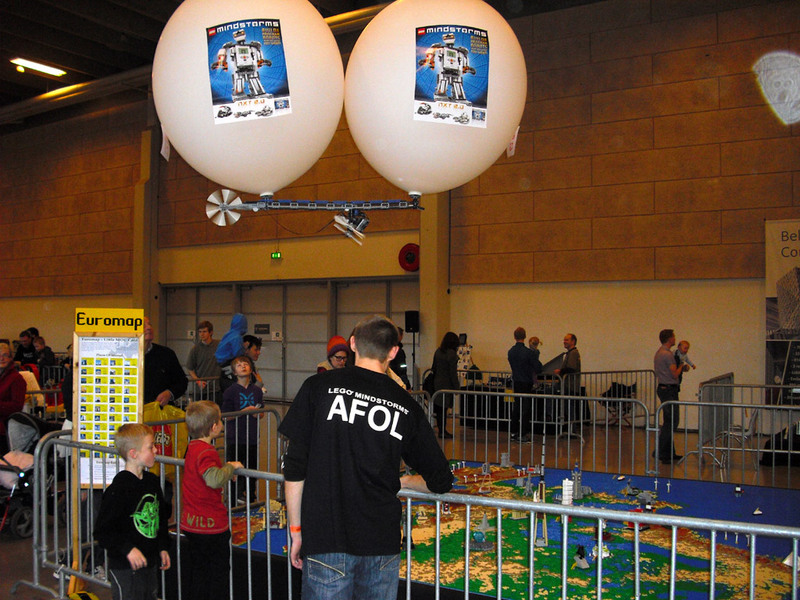 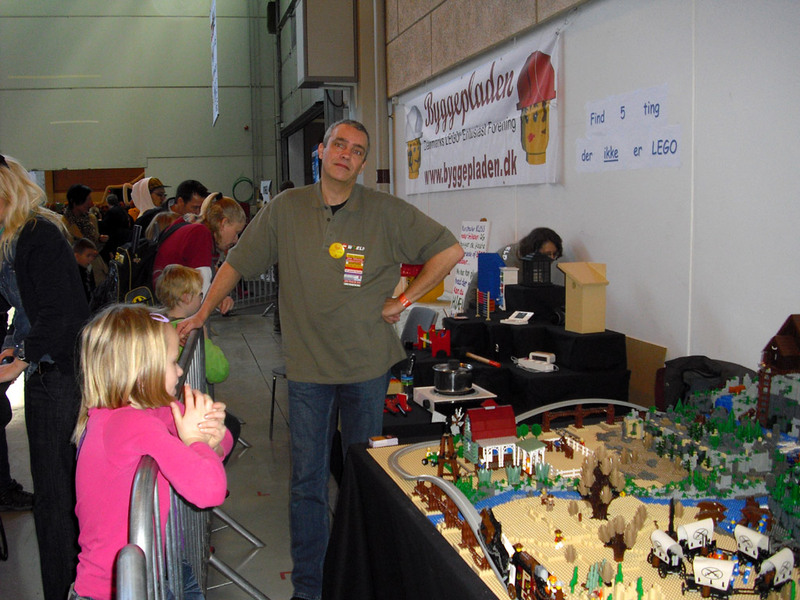 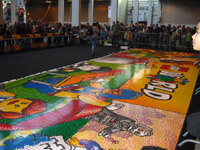 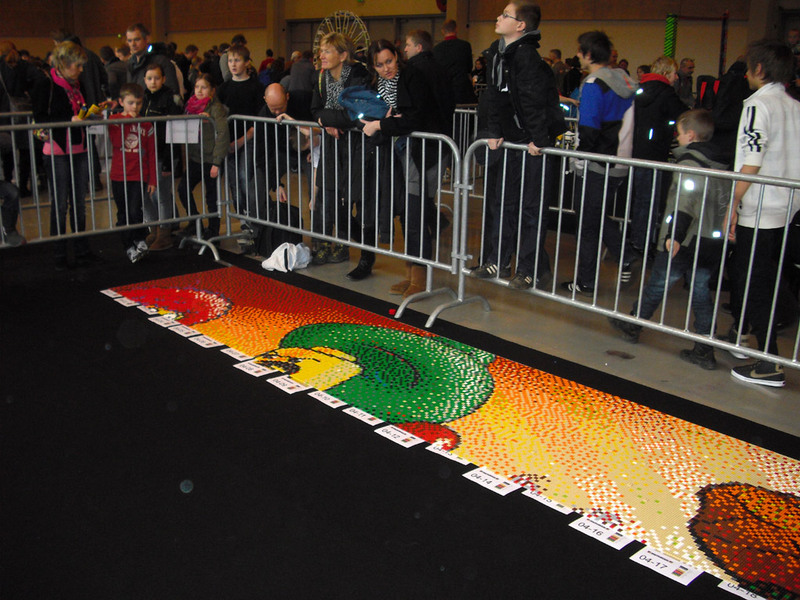 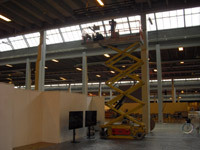 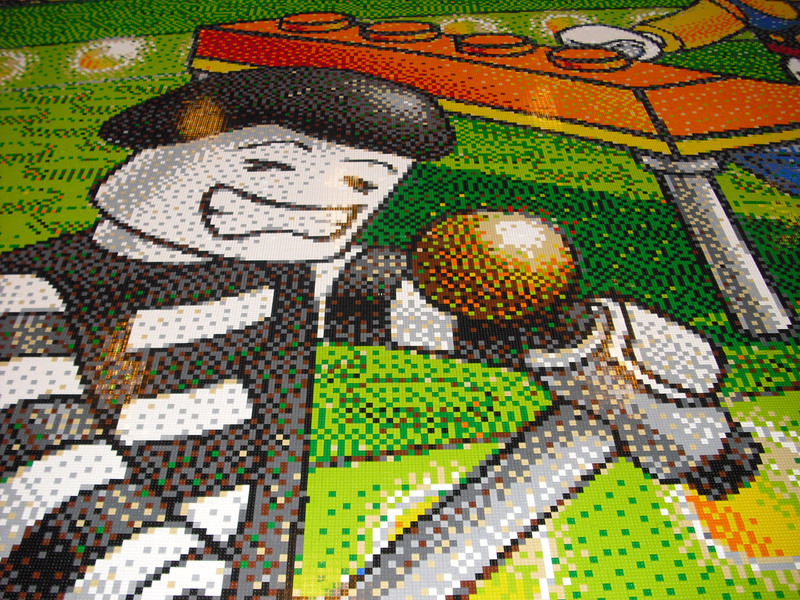 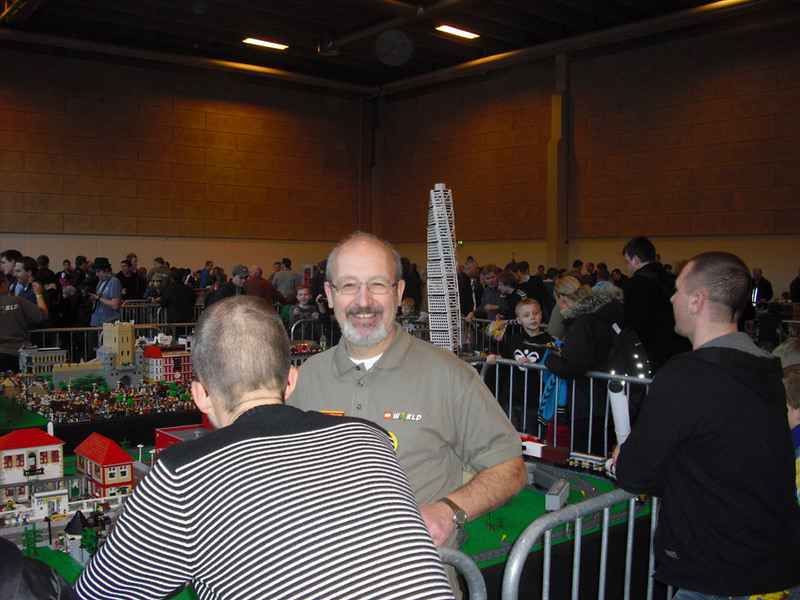 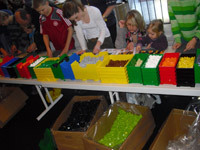 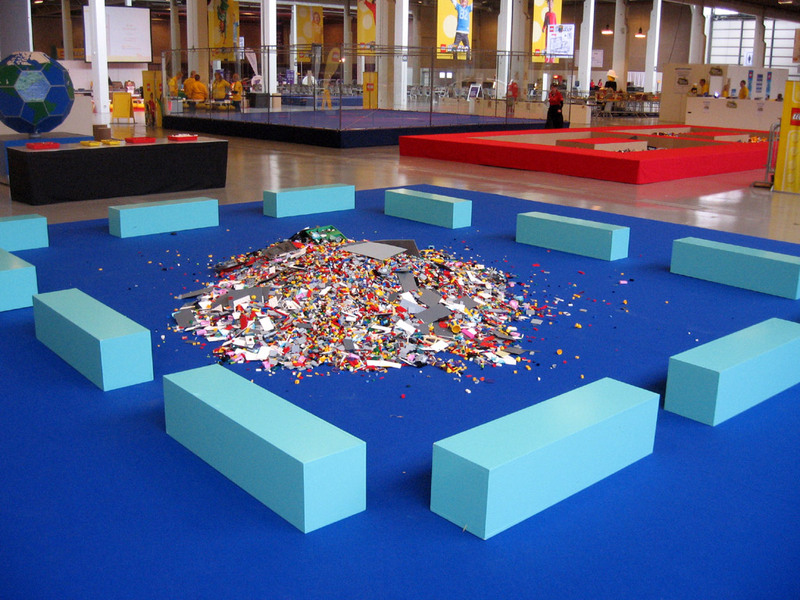 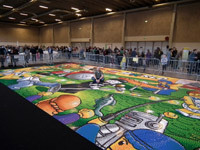 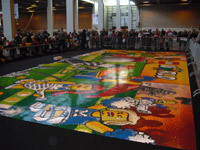 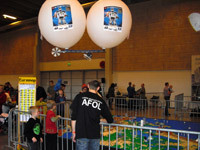 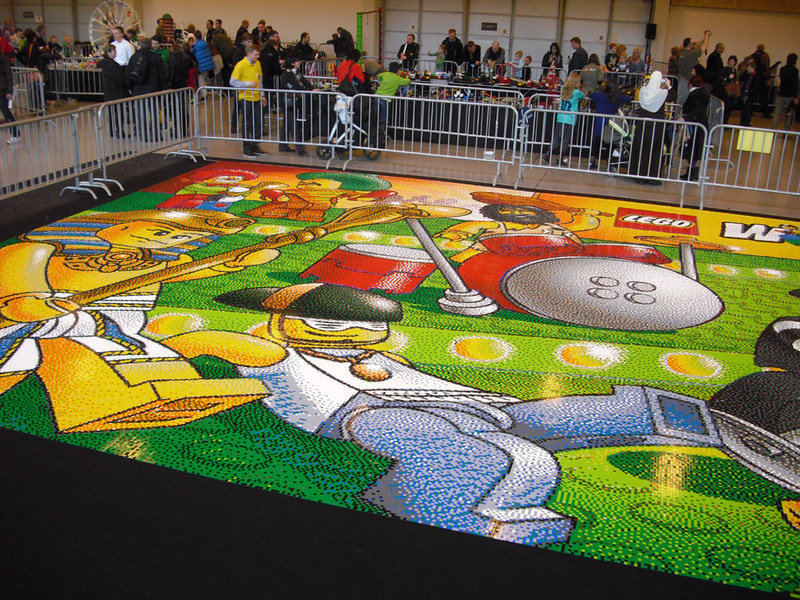 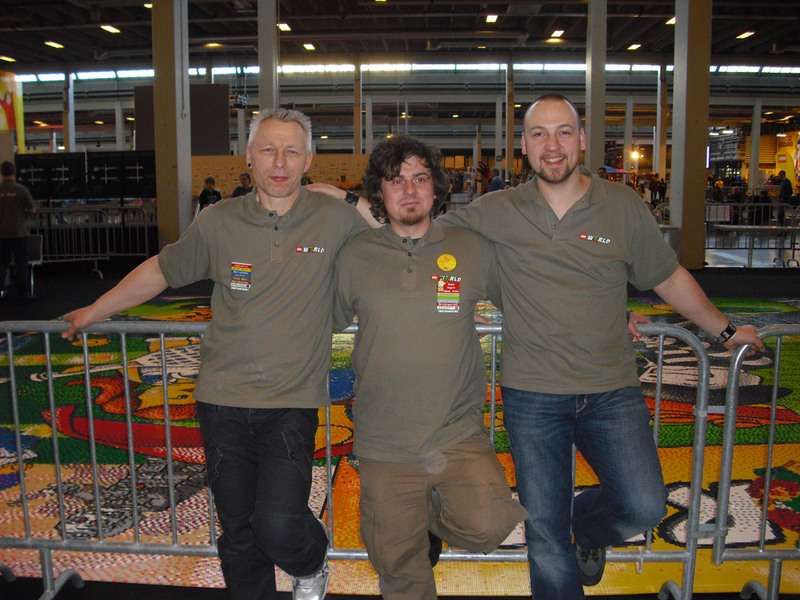 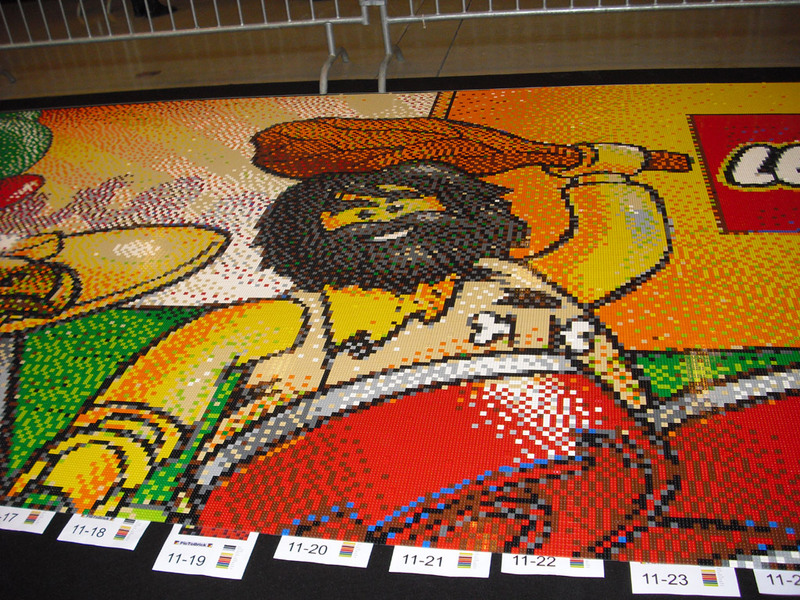 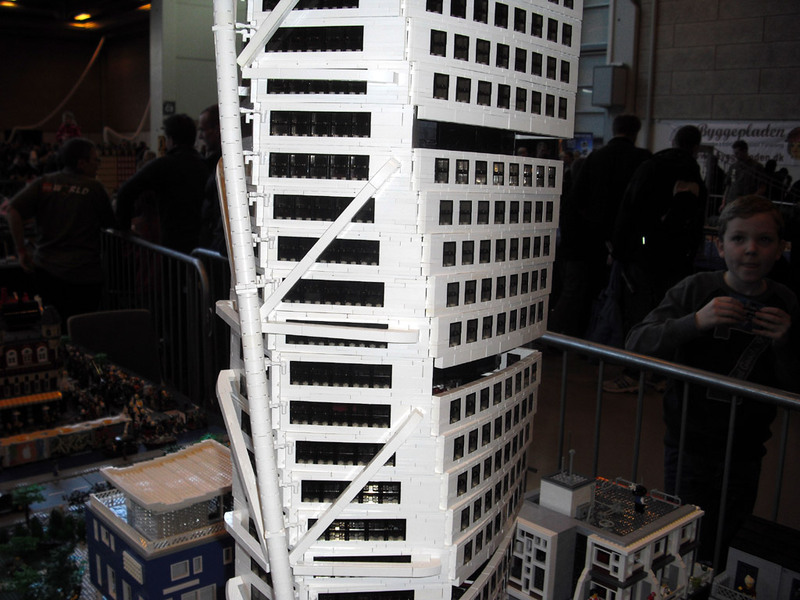 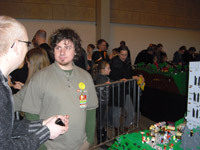 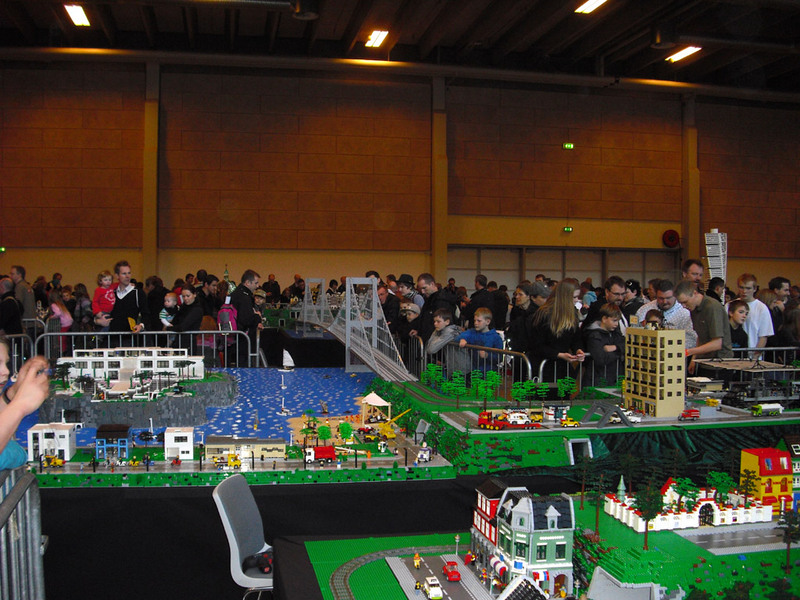 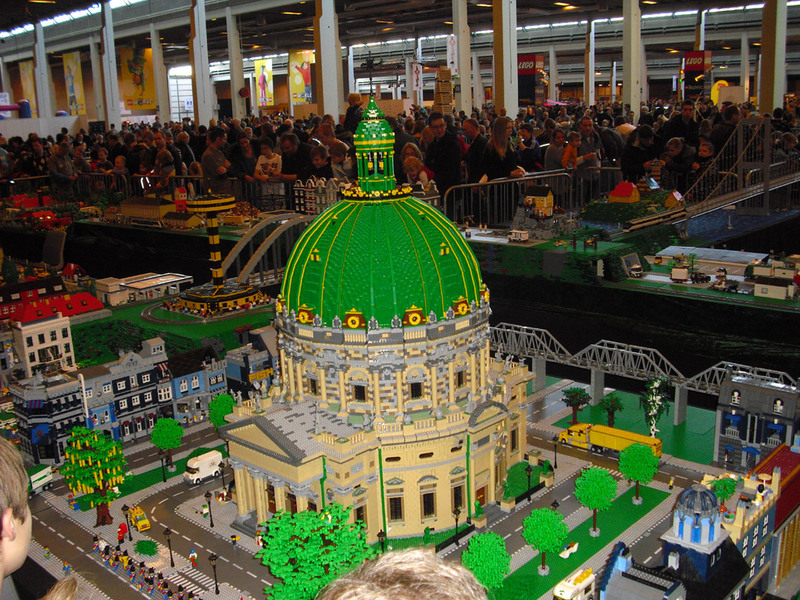 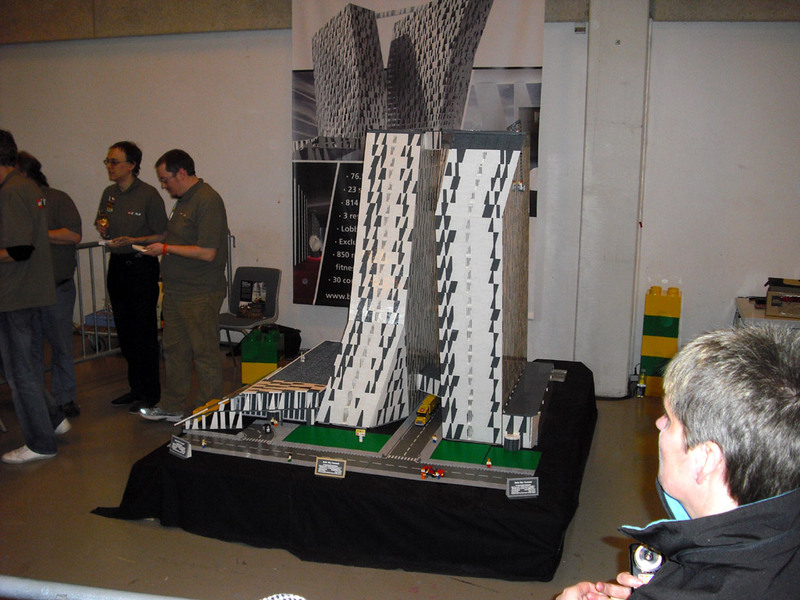 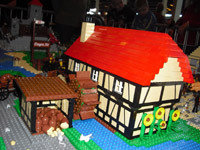 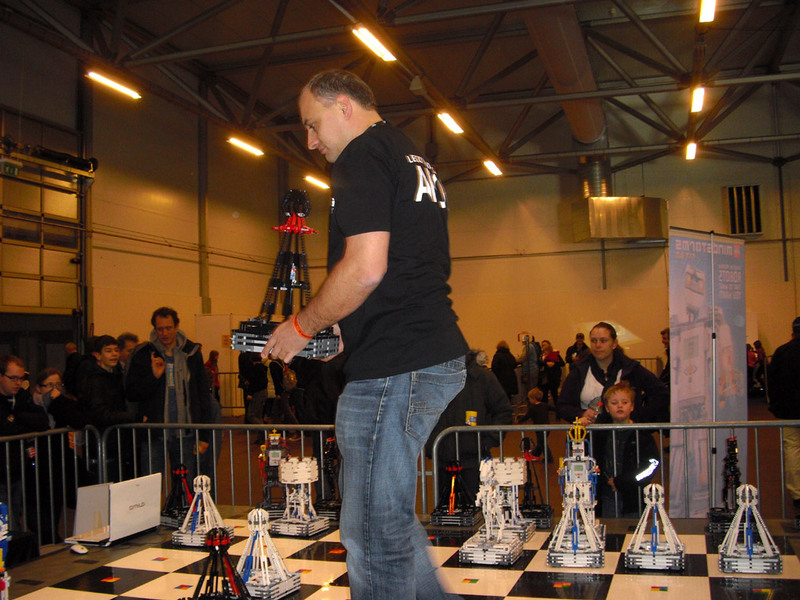 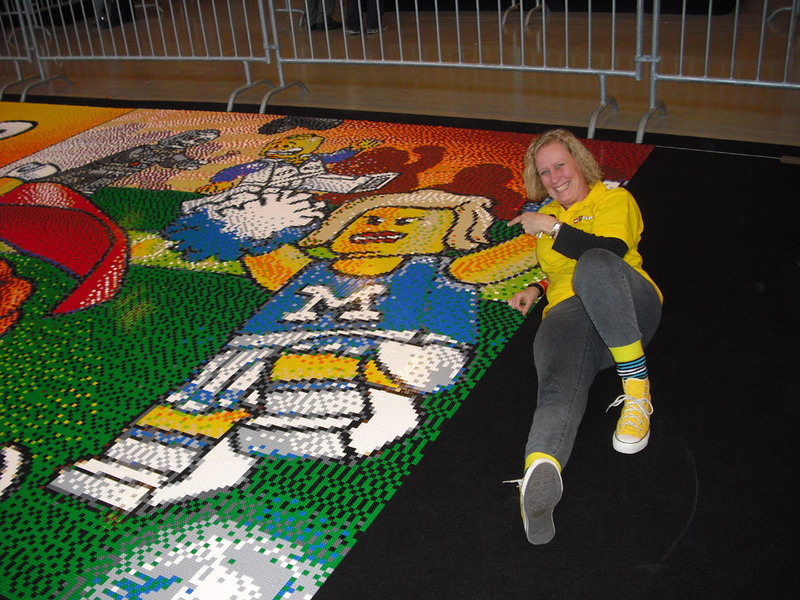 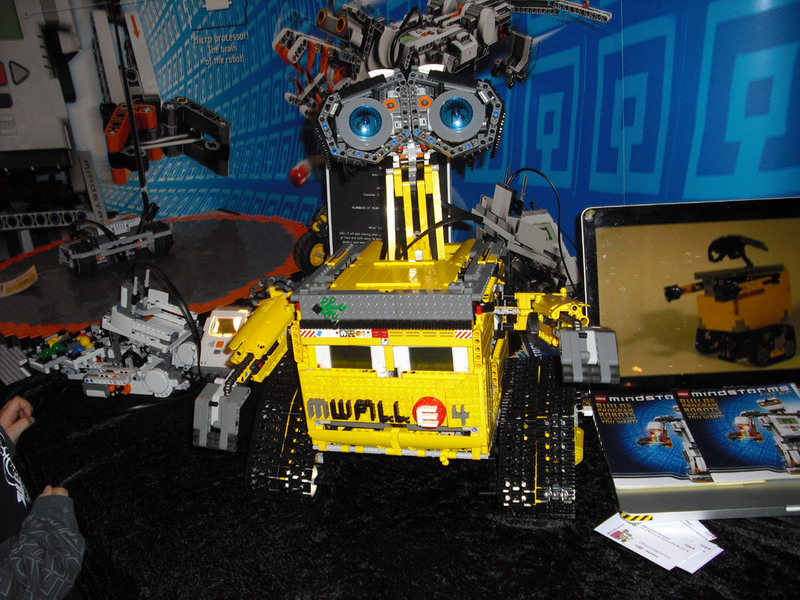 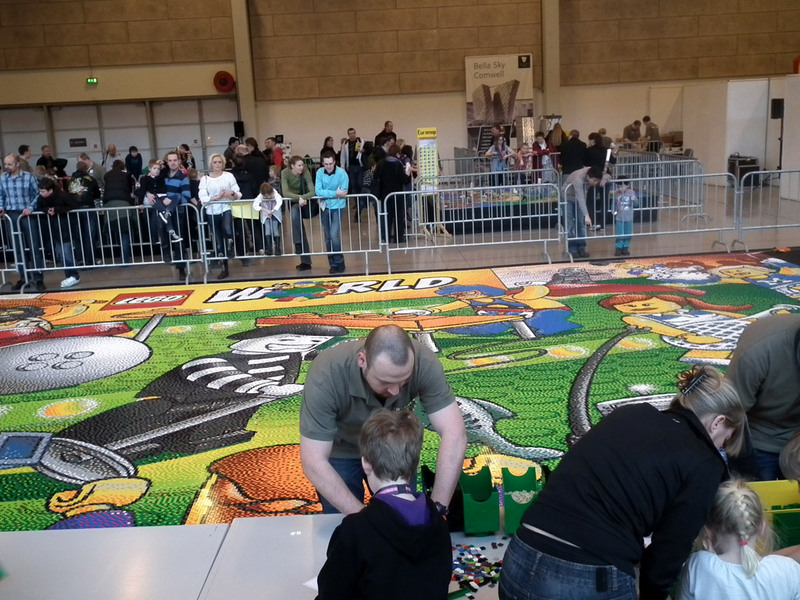 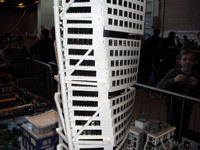 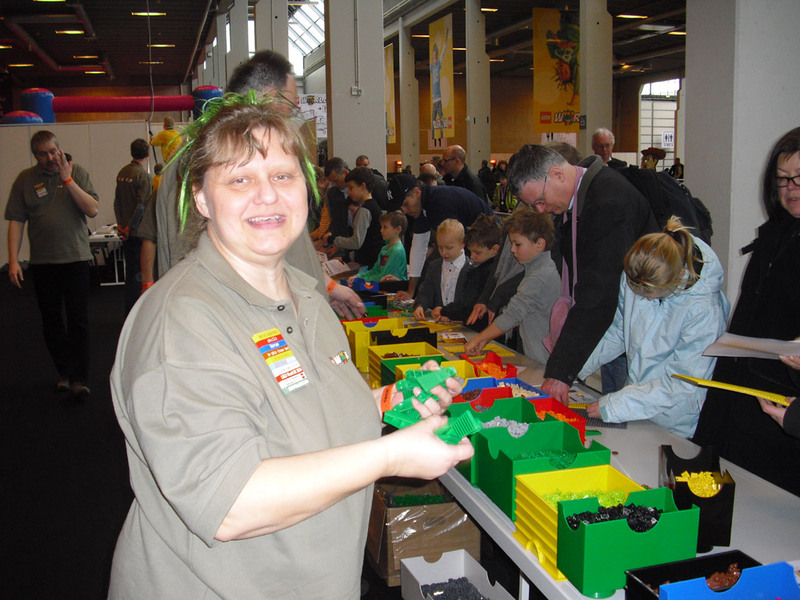 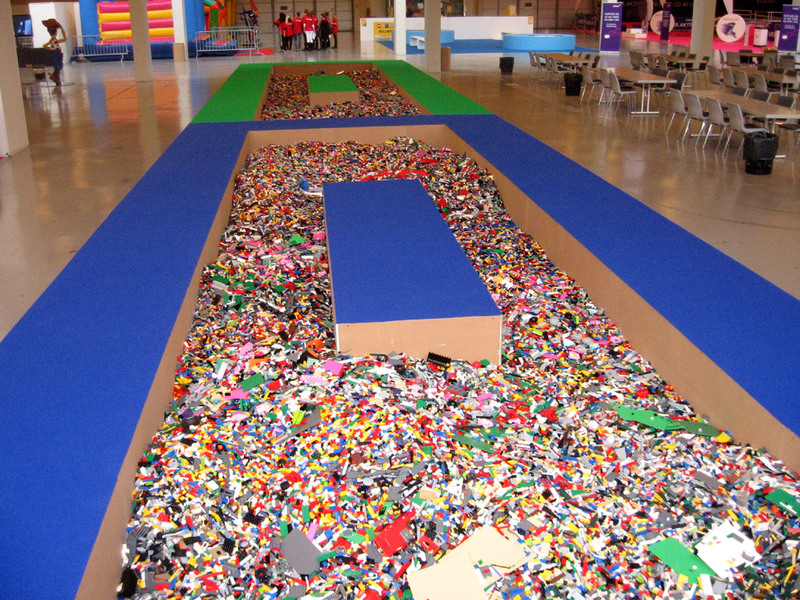 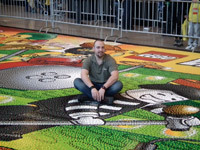 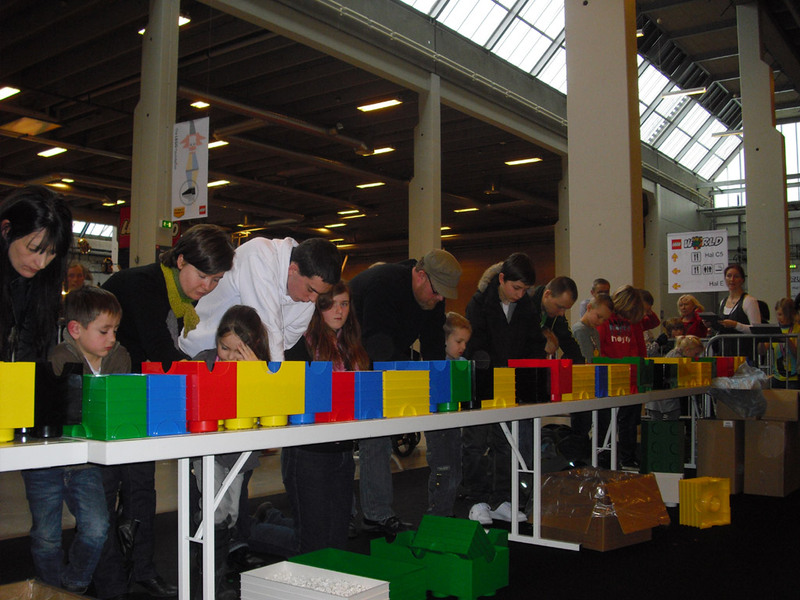 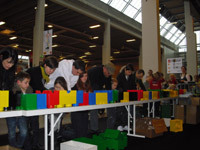 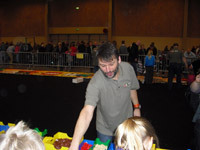 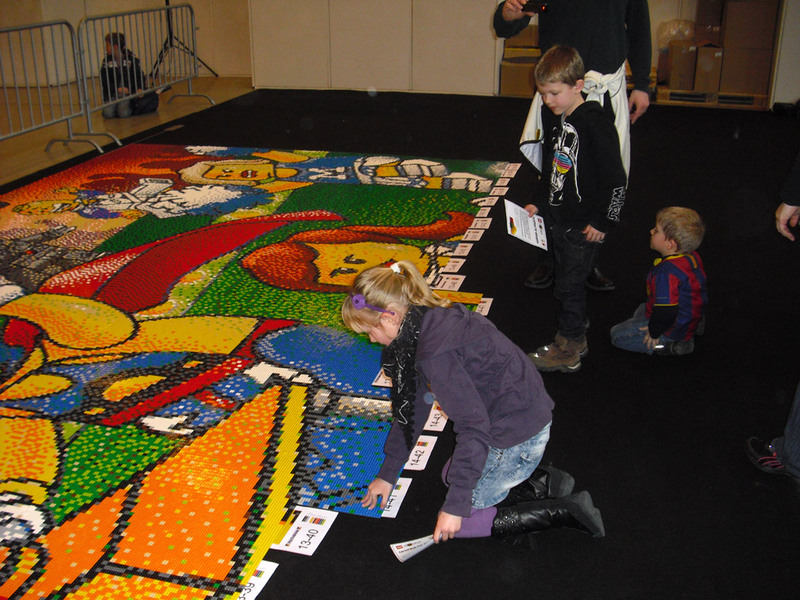 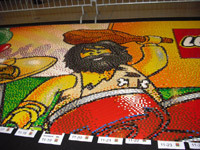 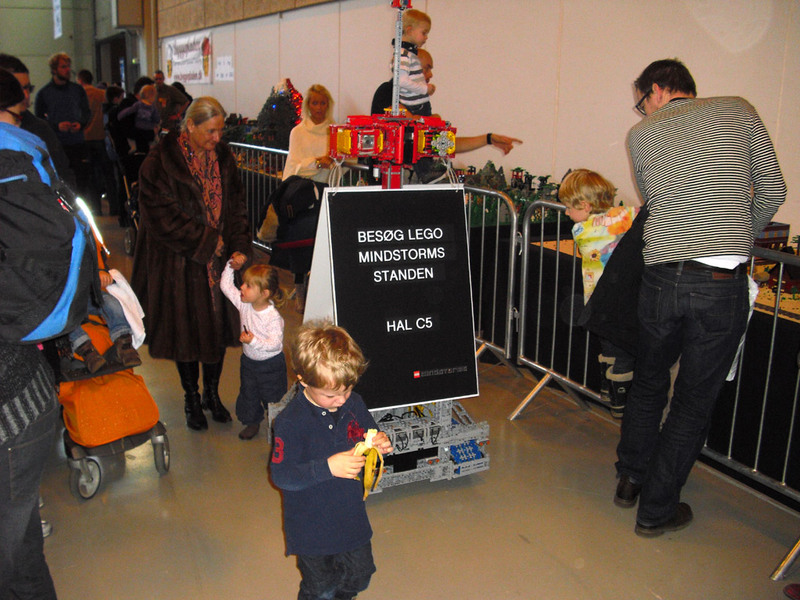 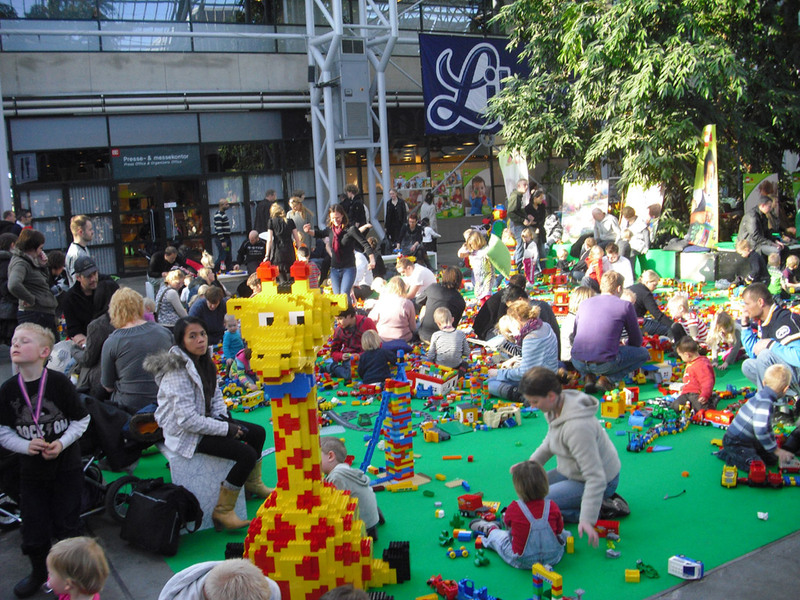 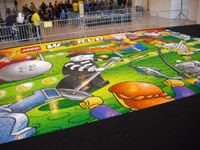 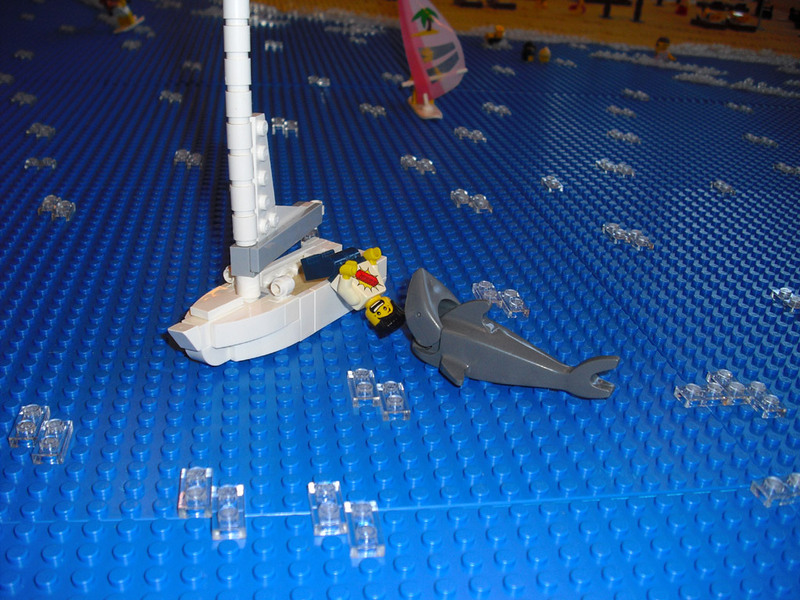 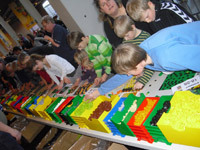 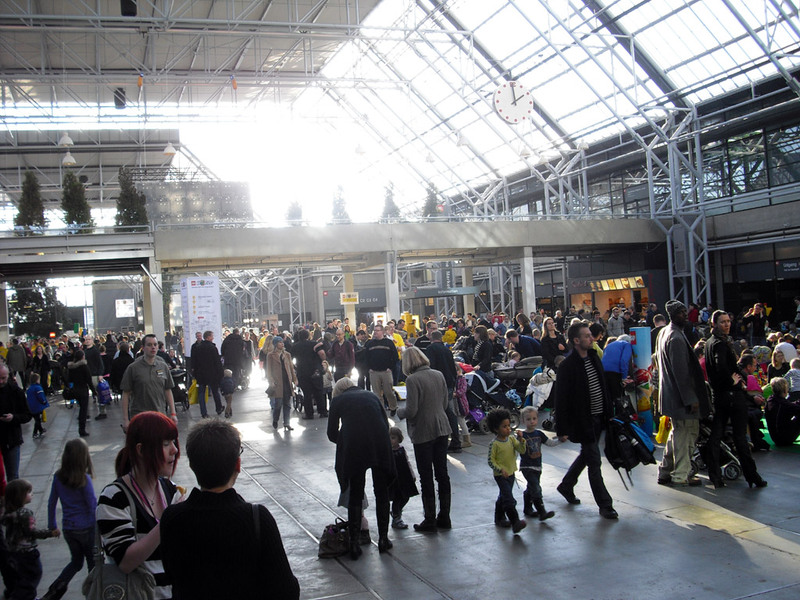 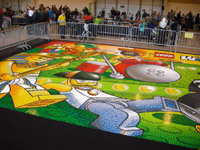 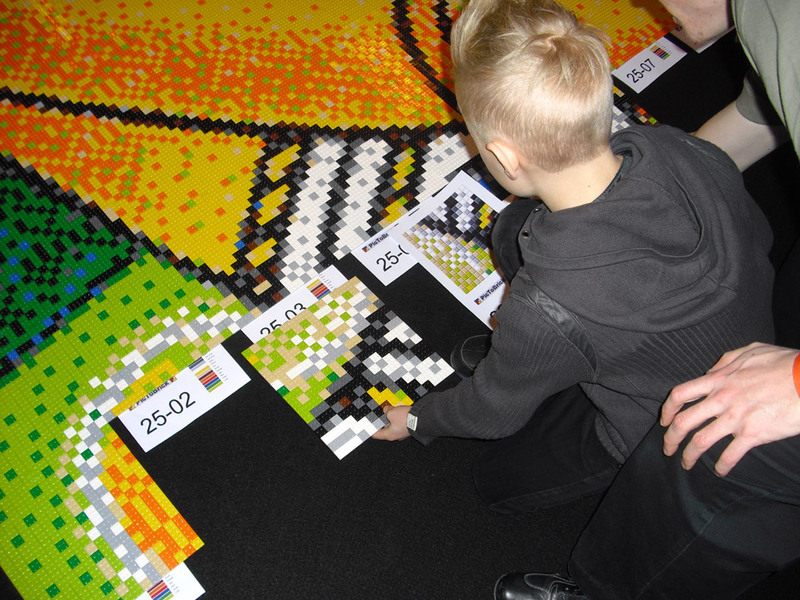 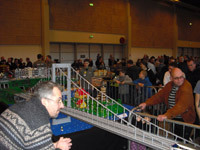 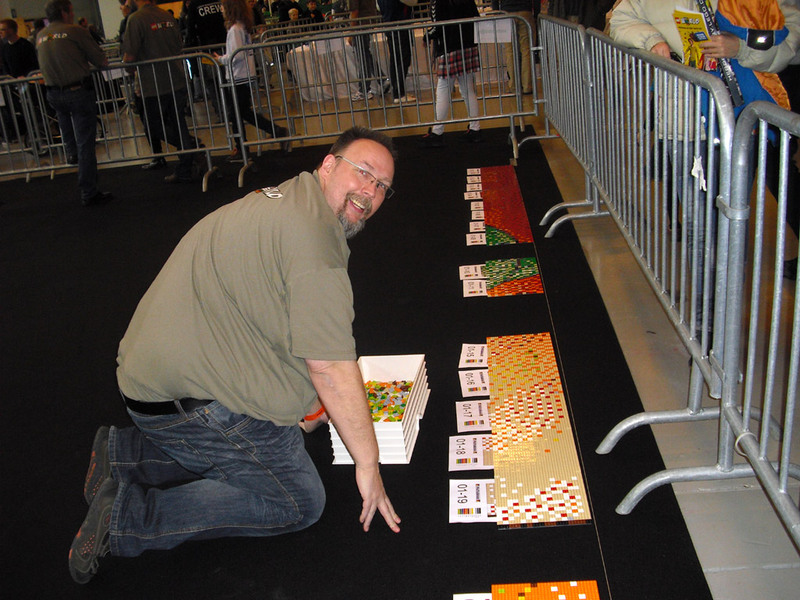 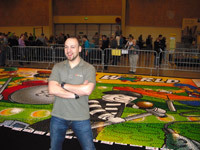 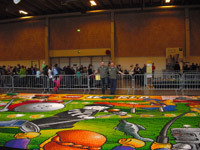 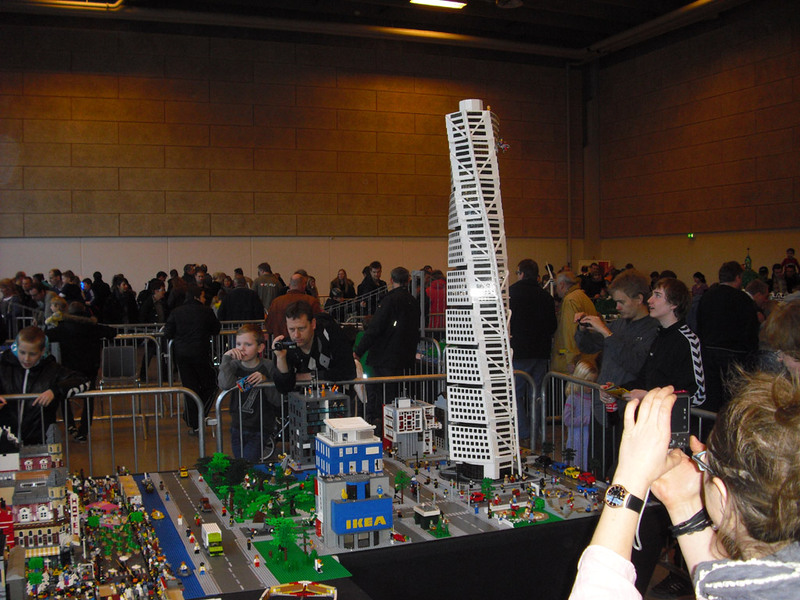 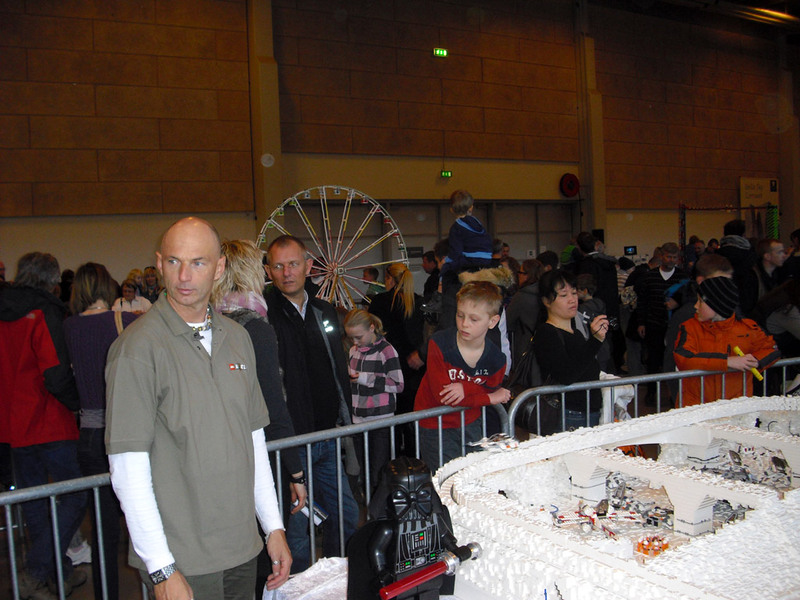 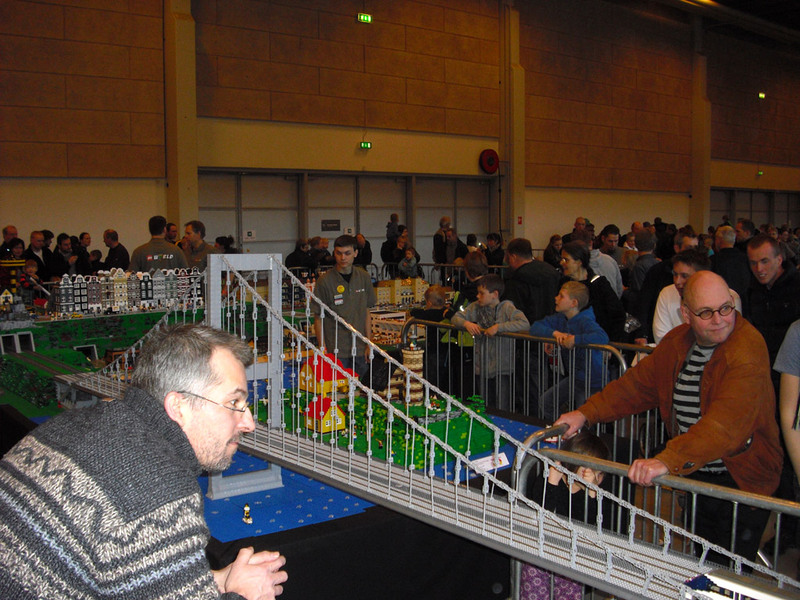 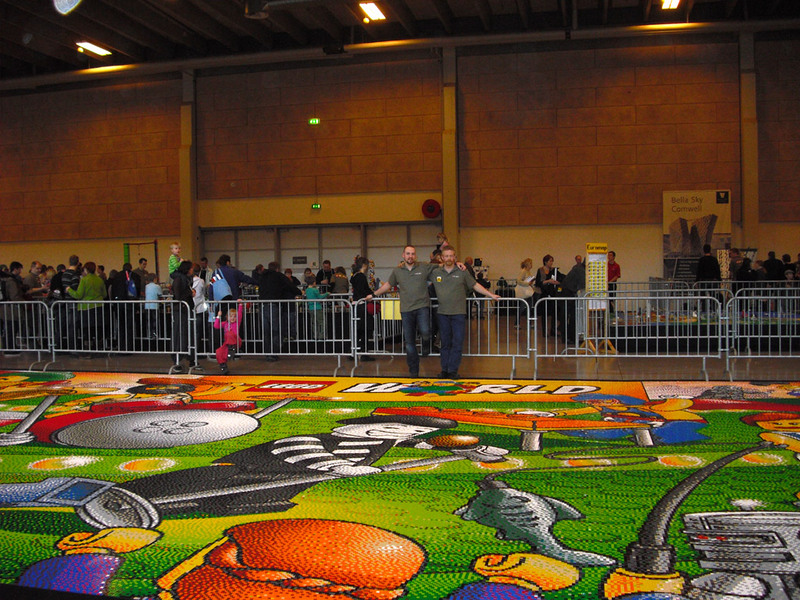 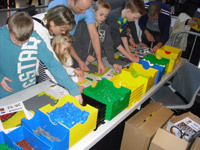 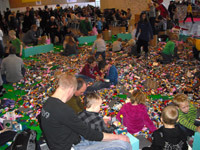 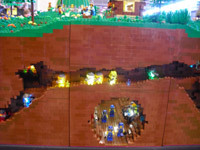 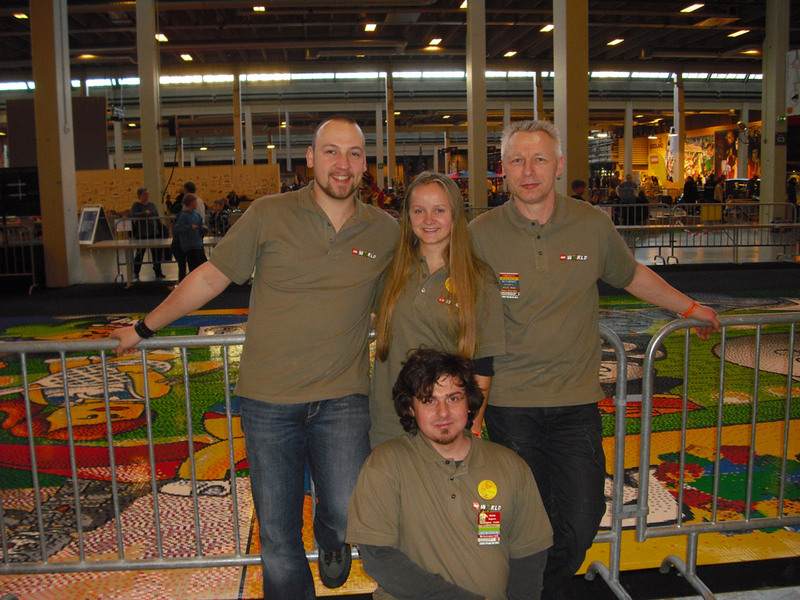 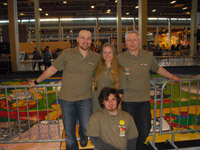 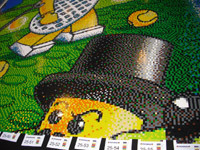 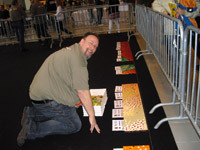 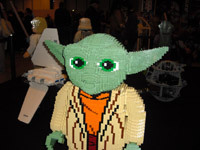 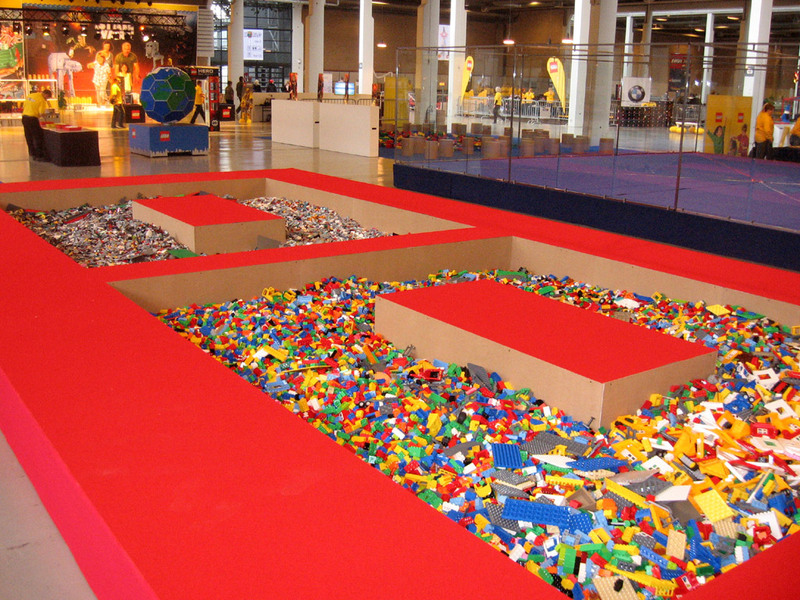 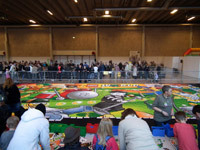 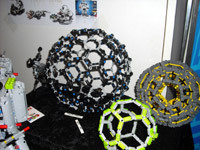 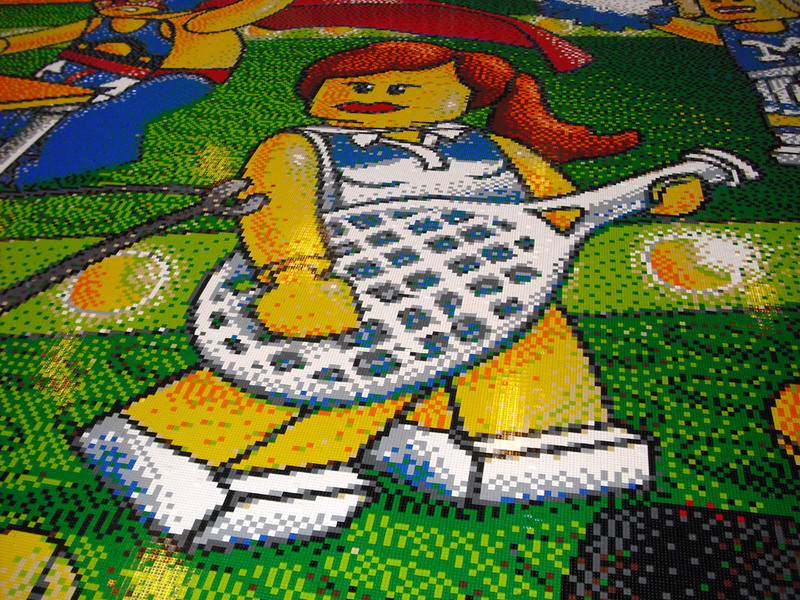 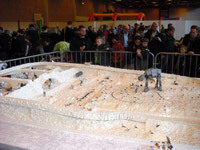 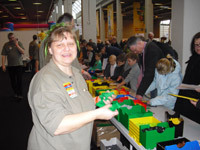 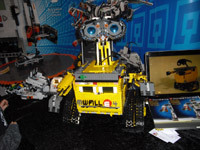 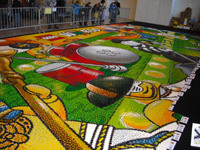 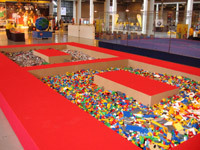 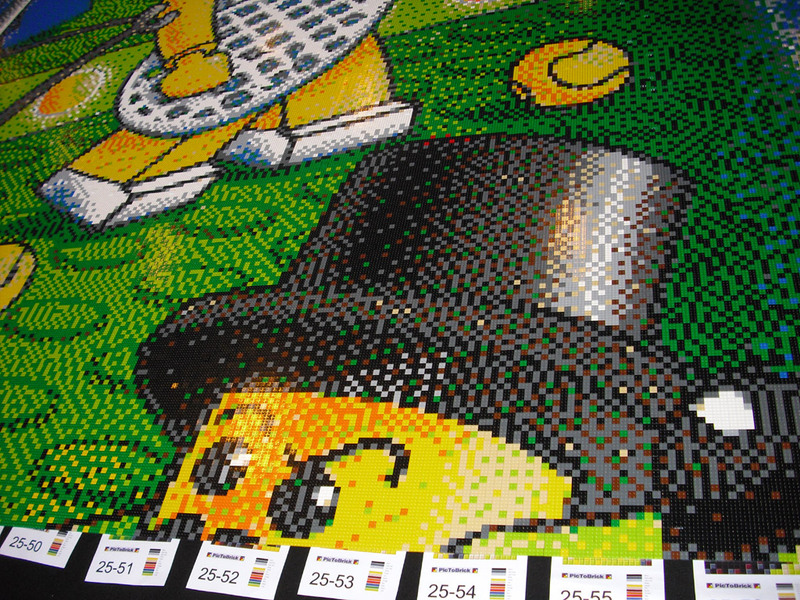 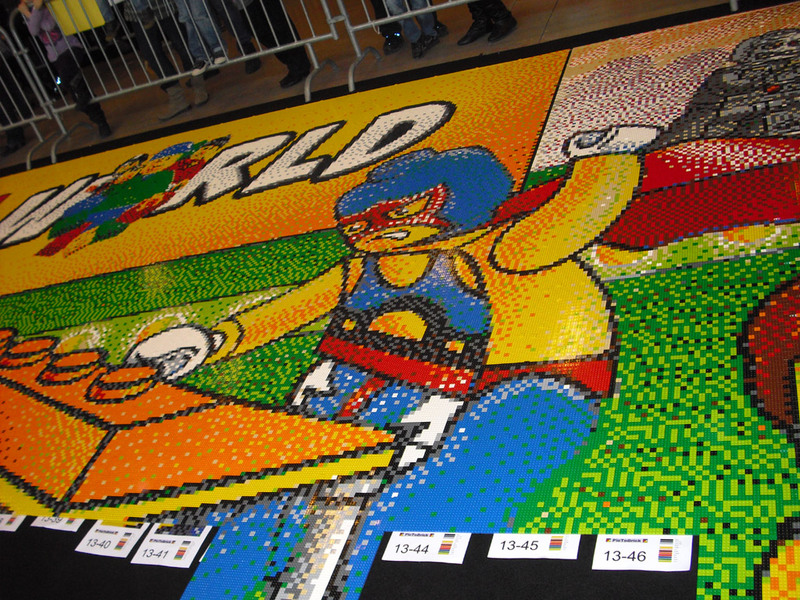 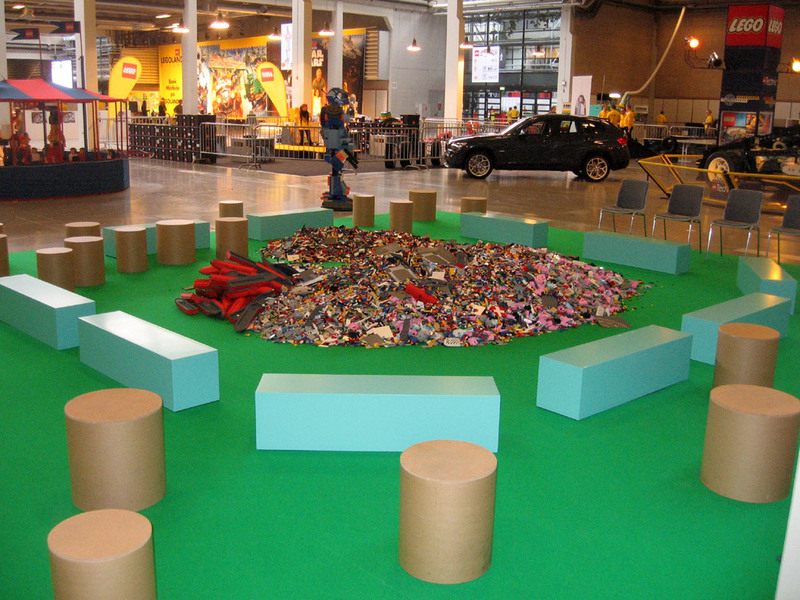 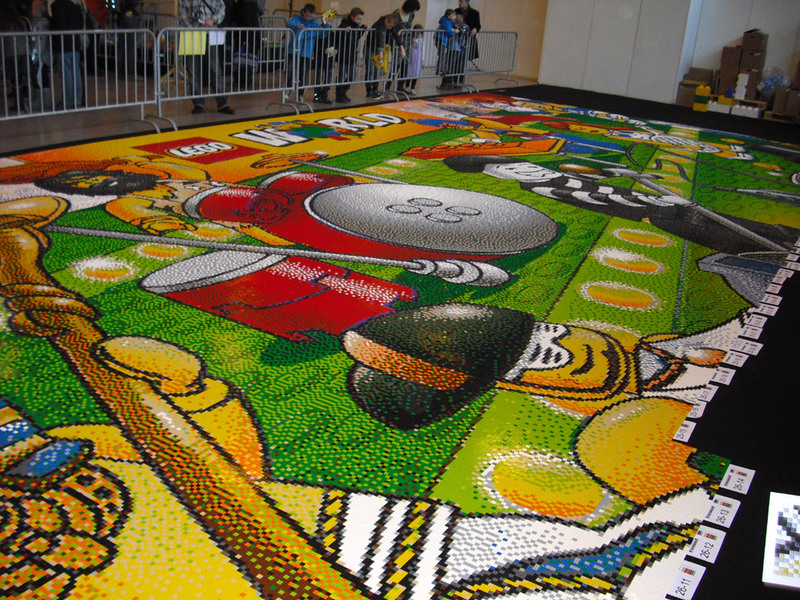 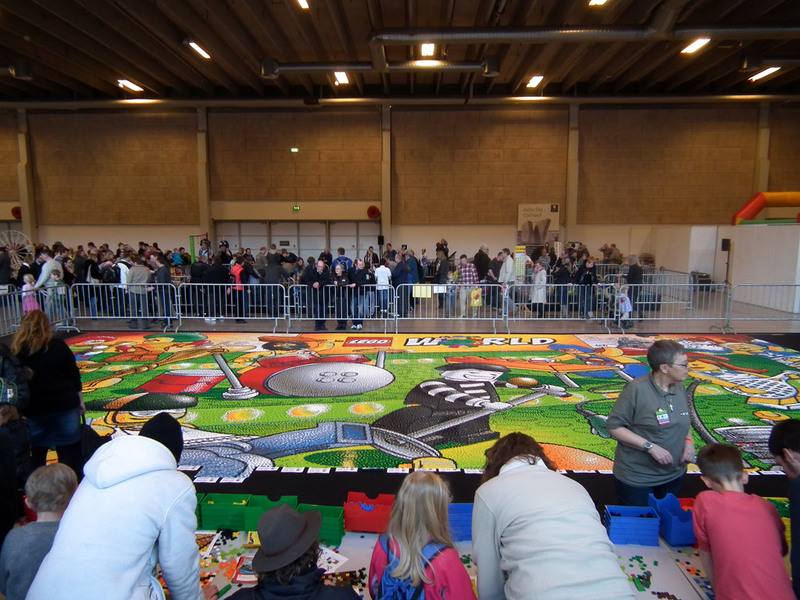 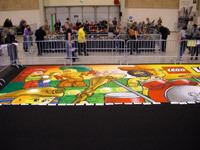 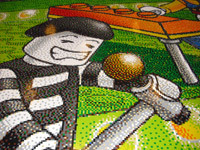 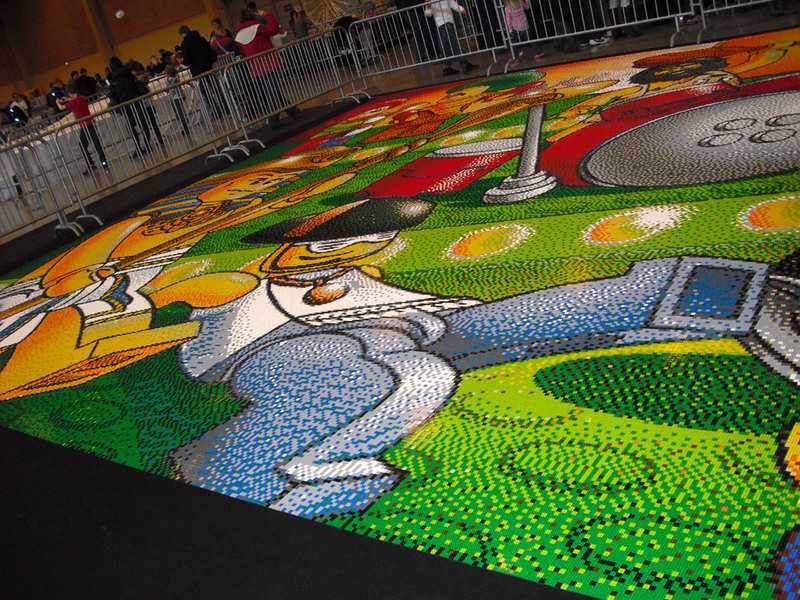 Shortly after the Legoworld 2010 we decided to try another worldrecord in mosaic building in 2011. 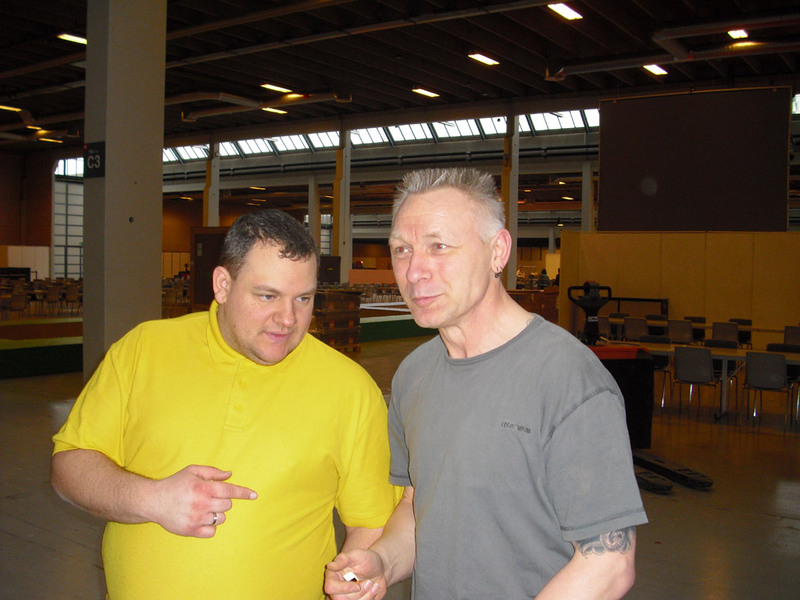 And again I made the building instruction and attended the mosaic building process together with Per. 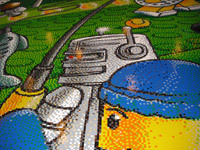 On 16. 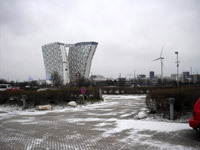 February 2010 I flew from Stuttgart to Copenhagen. 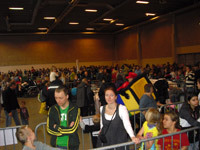 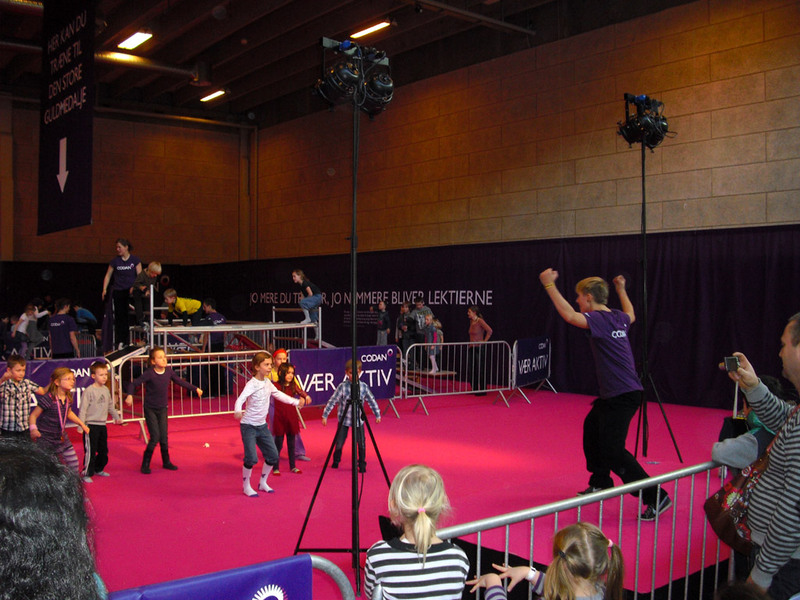 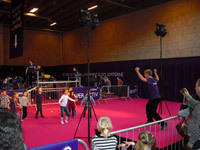 I arrived at around noon at the Bella Center in Copenhagen. 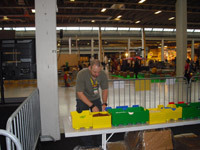 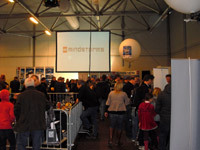 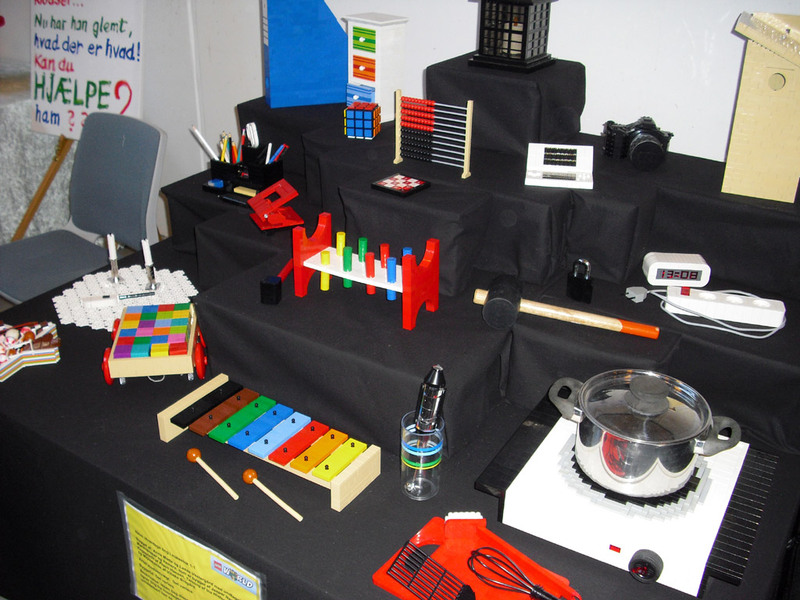 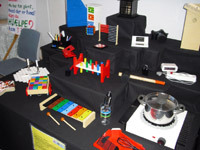 Most exhibitors were already busily engaged in building up. 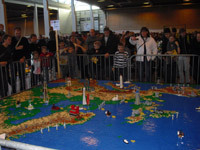 Together with Tanja and Bruno, who arrived by car, I built up our Euromap. 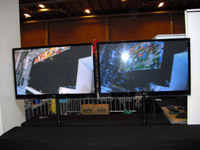 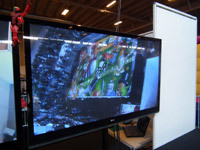 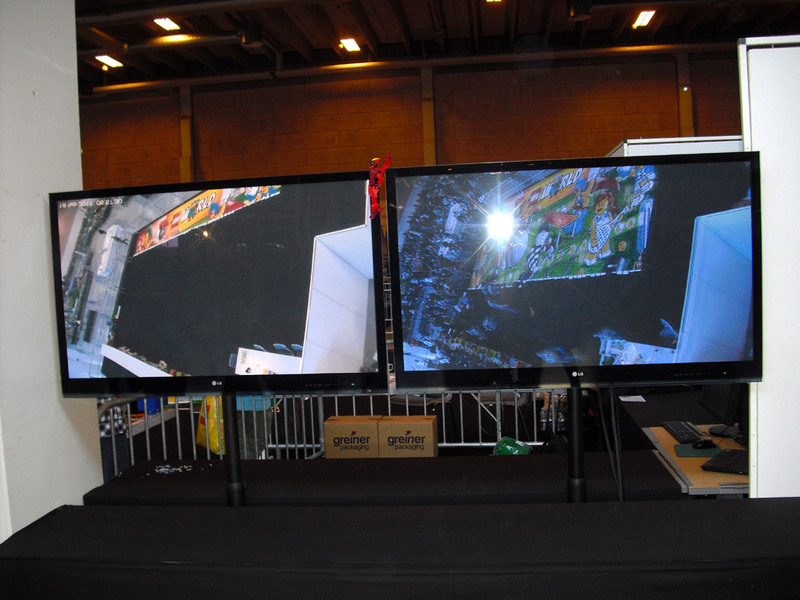 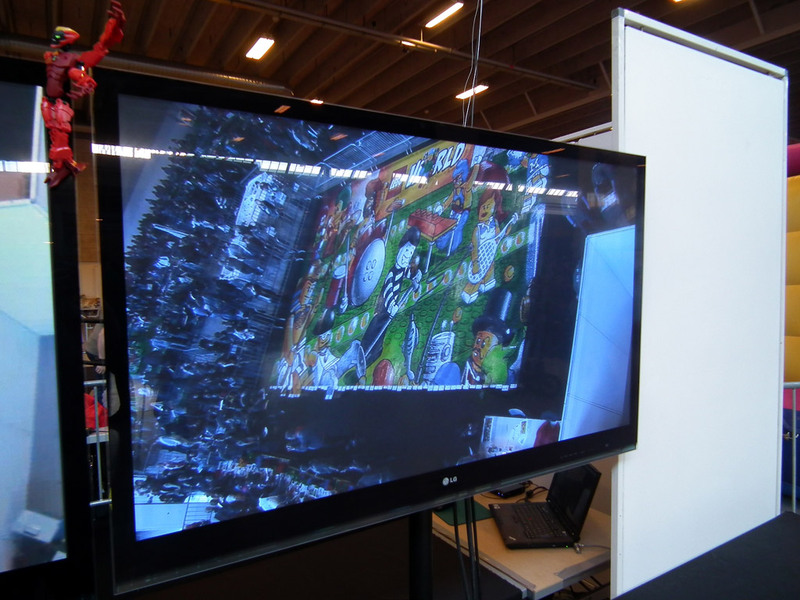 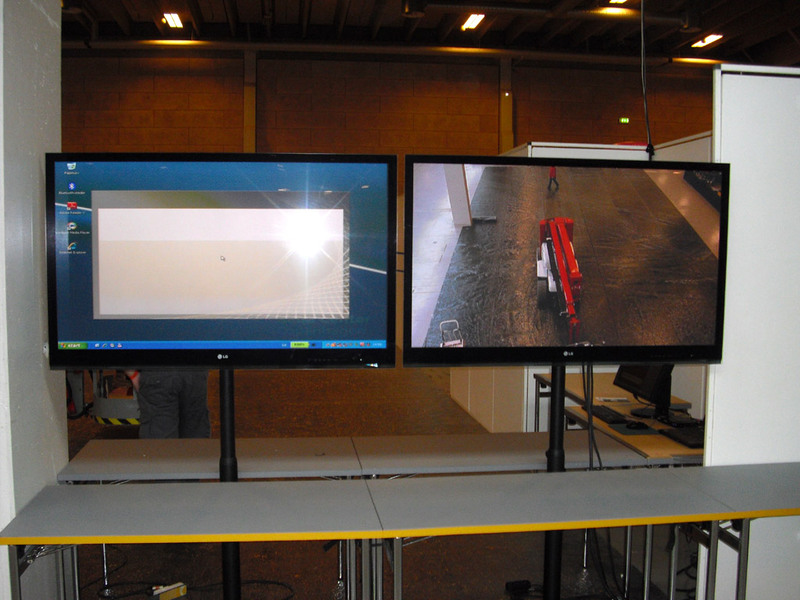 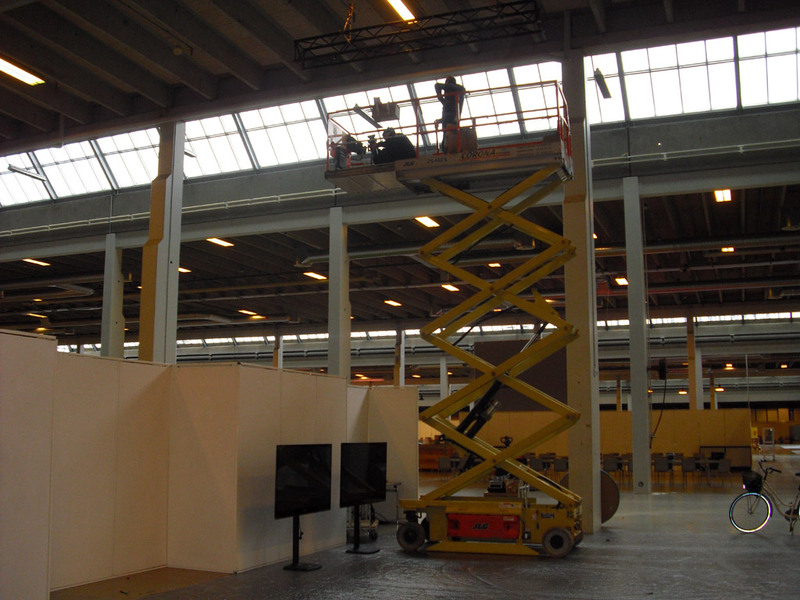 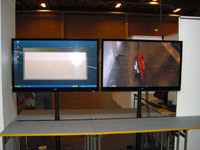 Some guys from the Bella Center installed a camera under the roof and arranged two monitors in the mosaic area. 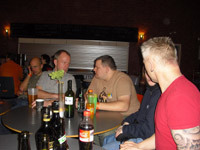 In the evening we moved into our hostel room. 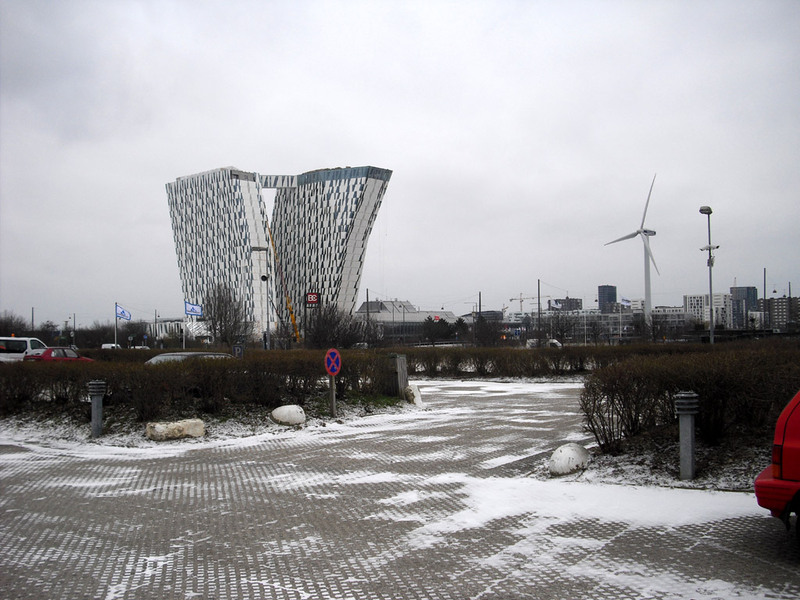 The hostel was again in view of the Bella Center. 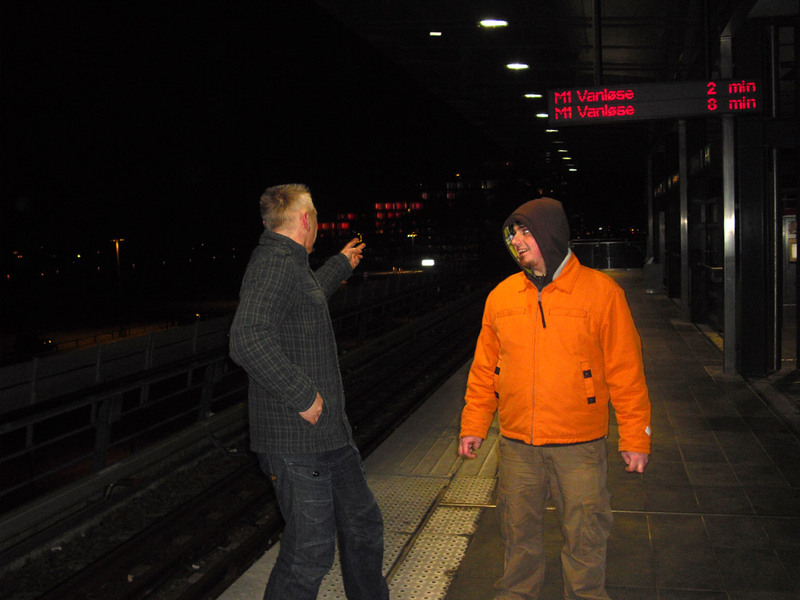 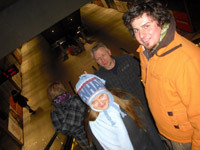 After that Tanja, Bruno, Klementina, Matija and I went to the city by metro to have a Mexican dinner. 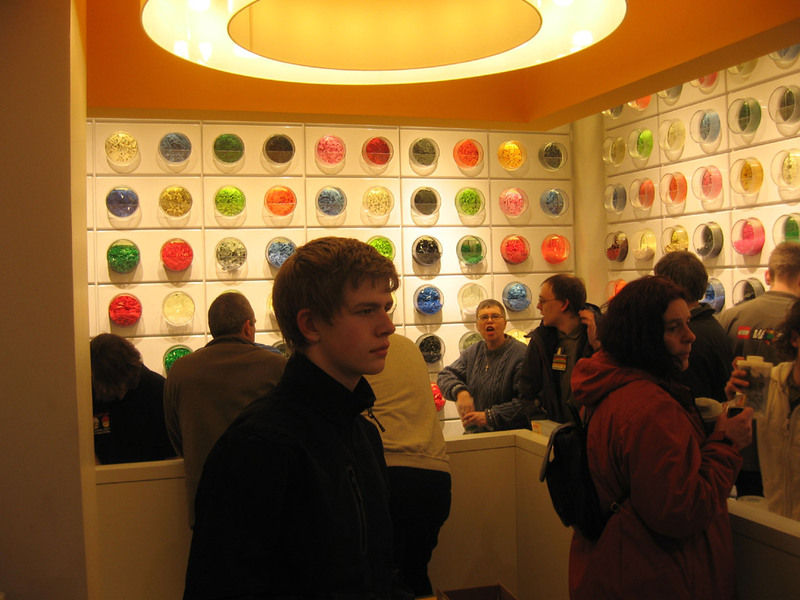 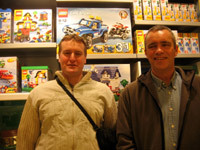 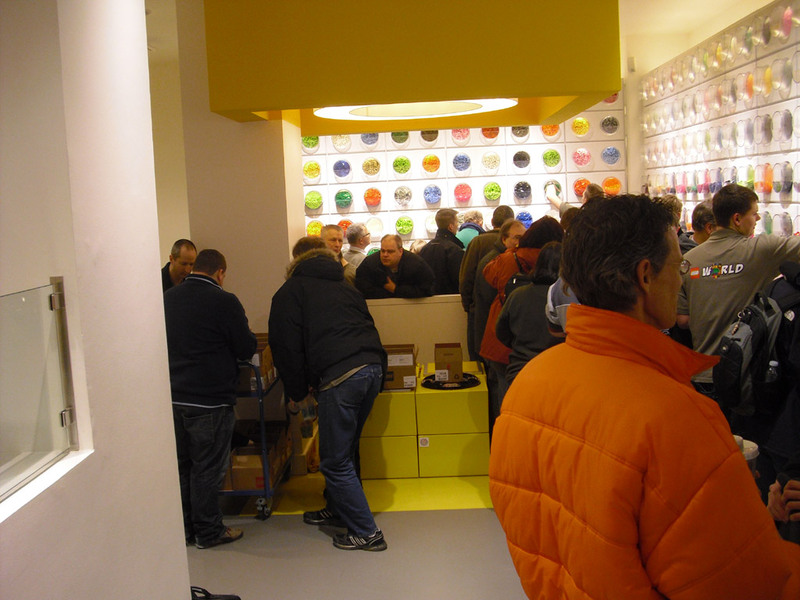 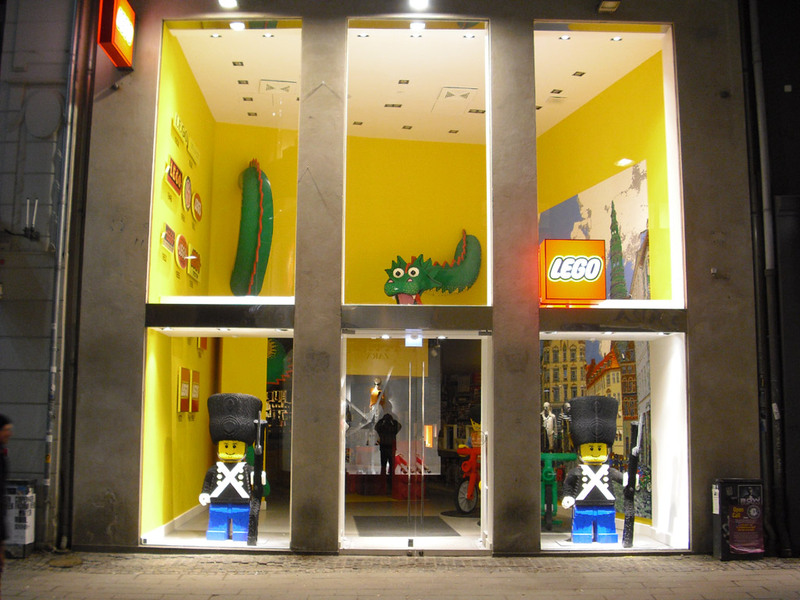 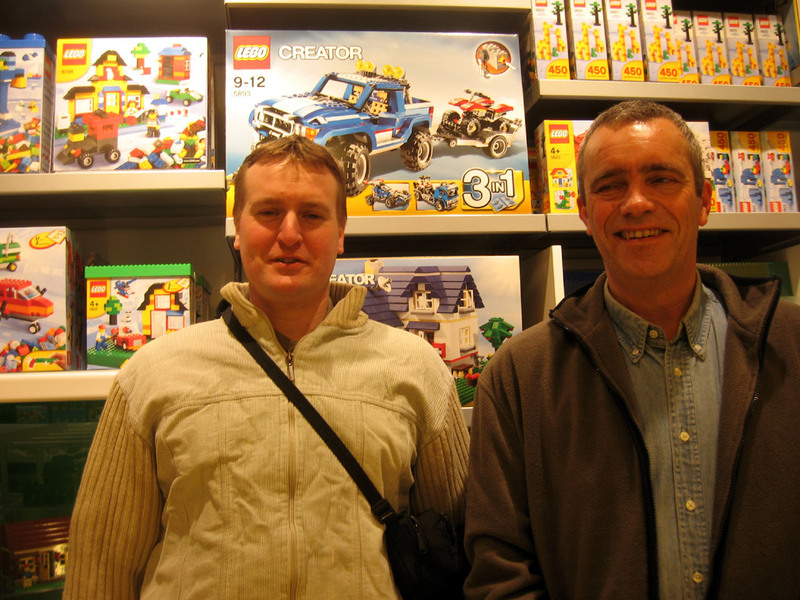 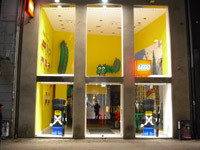 On Thursday evening we first went into the new Lego brand store Copenhagen. 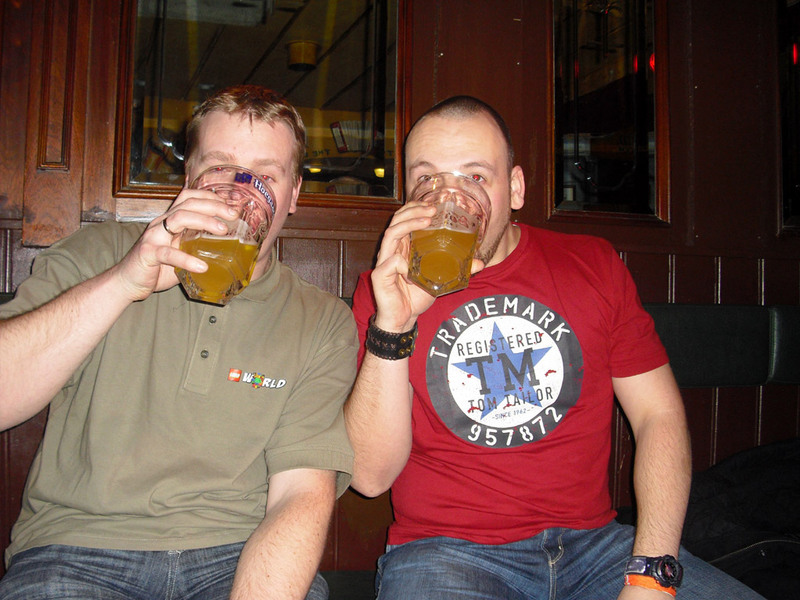 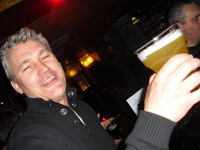 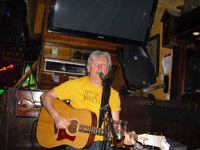 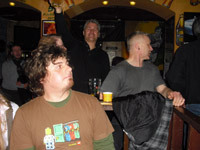 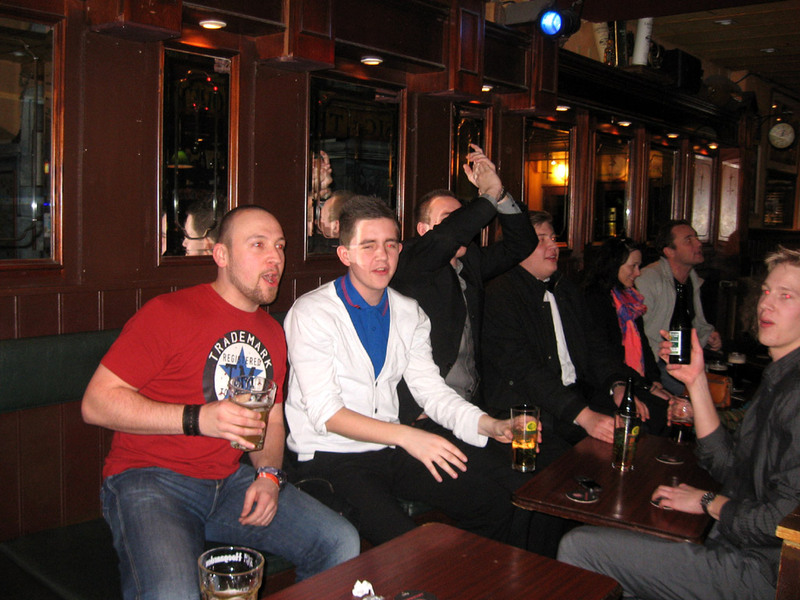 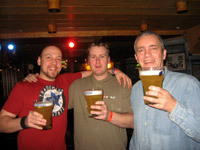 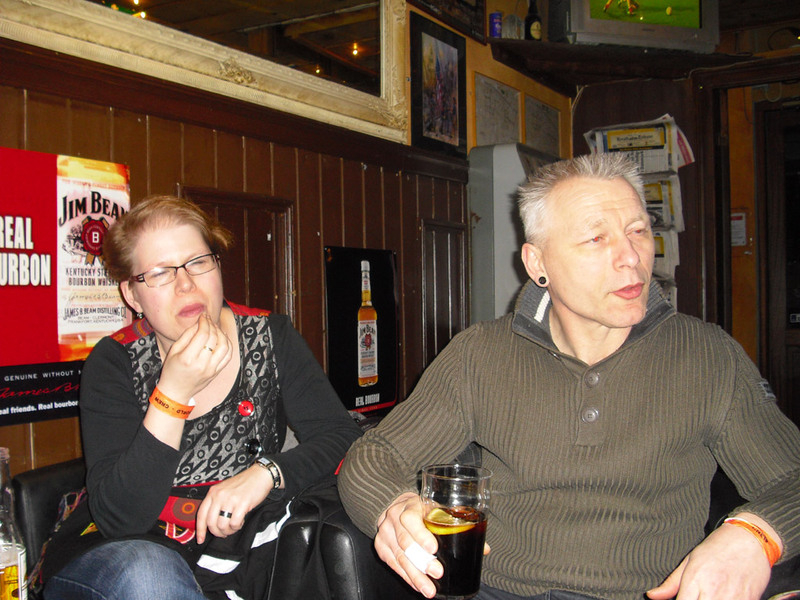 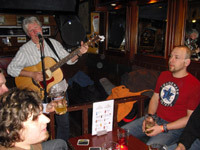 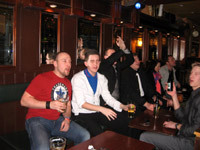 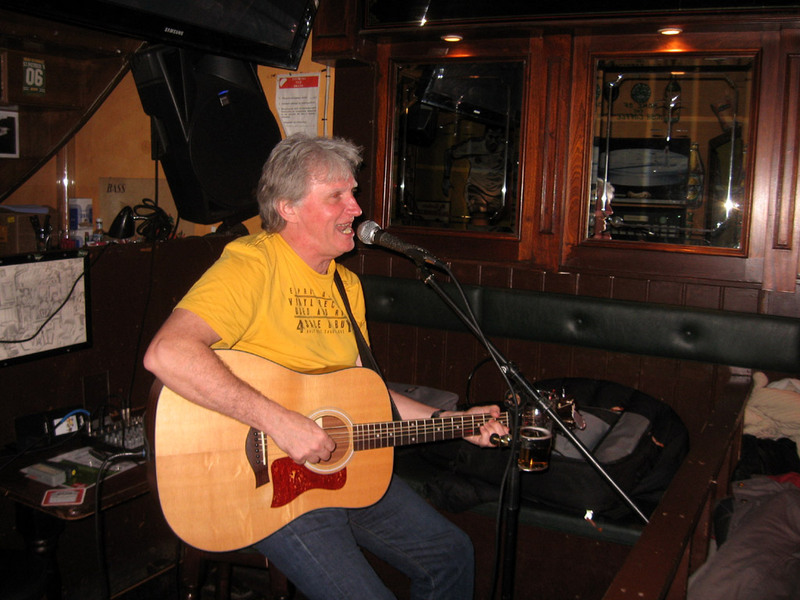 Then we had some great live music and some Hoegaarden beers in the Irish Rover. 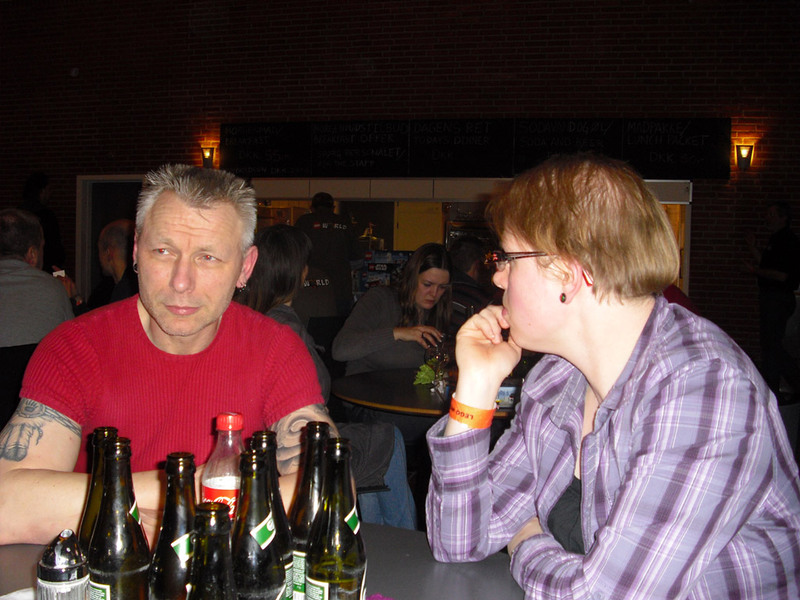 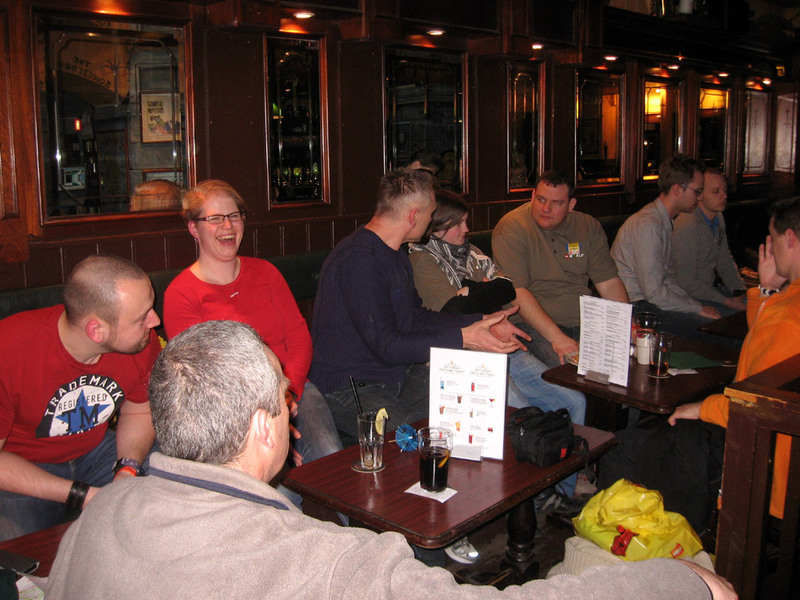 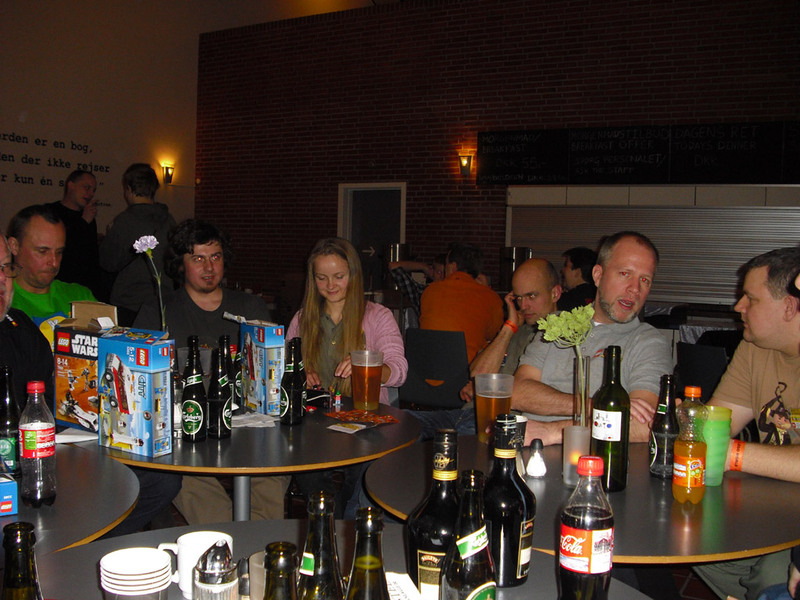 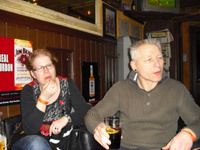 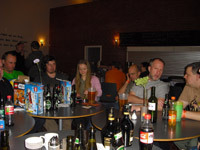 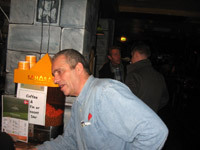 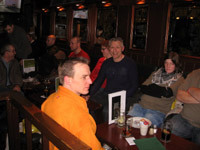 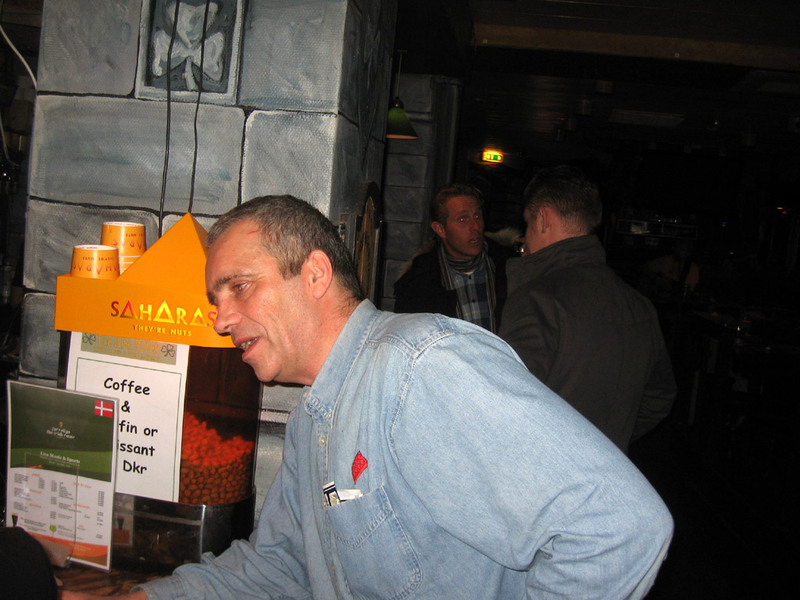 On Friday evening was the AFOLs evening in the hostel. 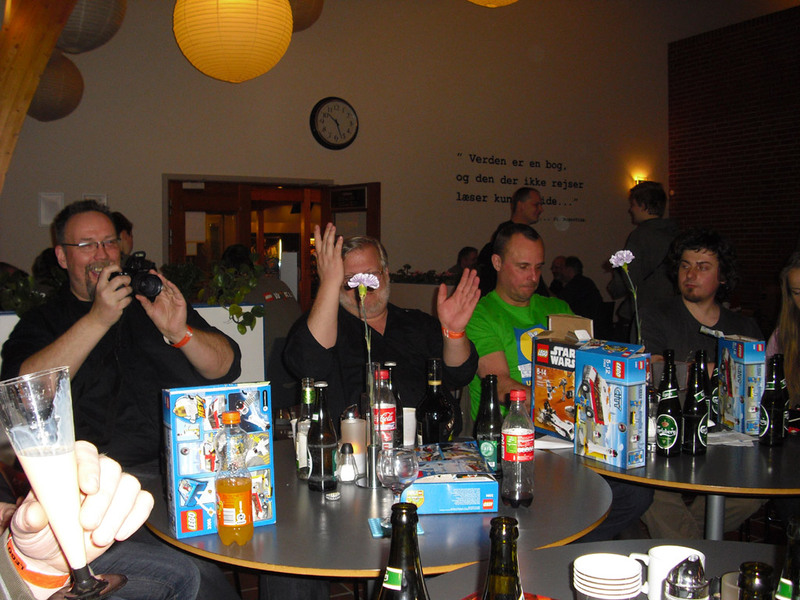 In addition to the common meals there were some funny games and an auction. The mood was very "international" as every time. 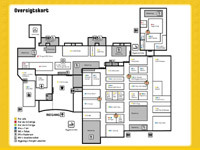 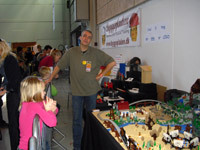 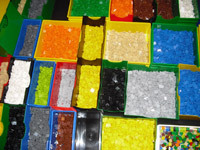 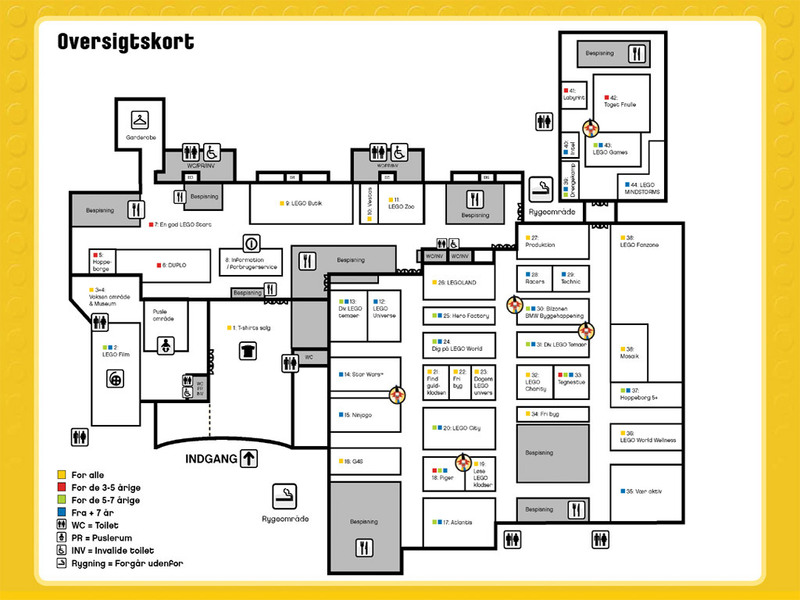 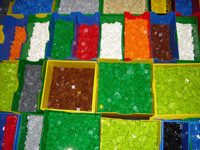 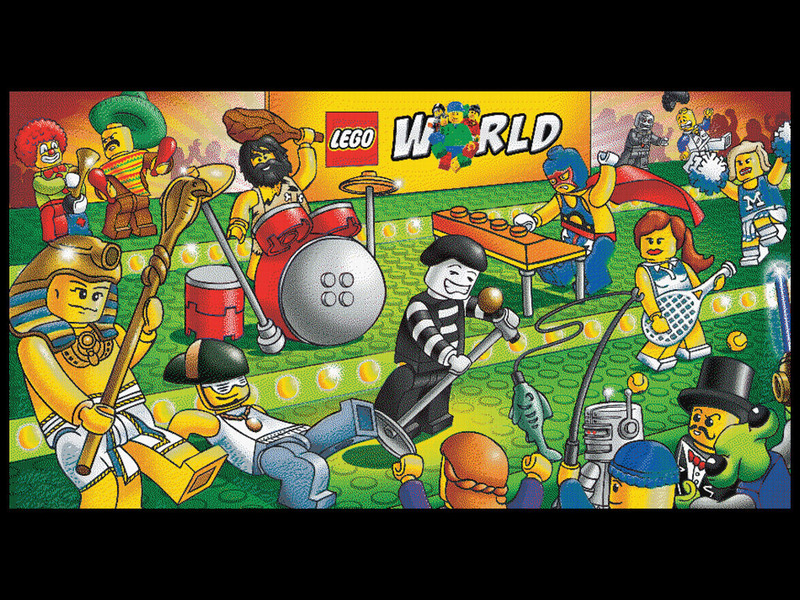 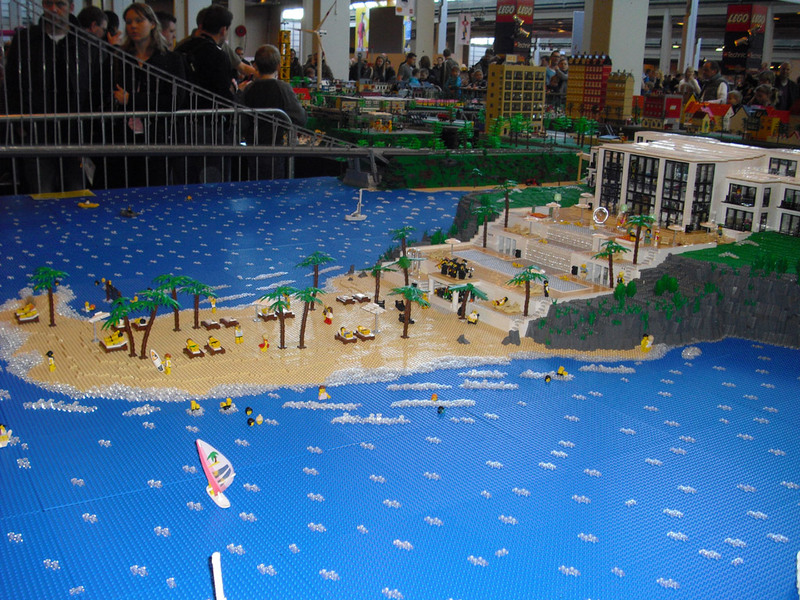 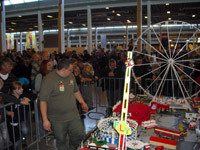 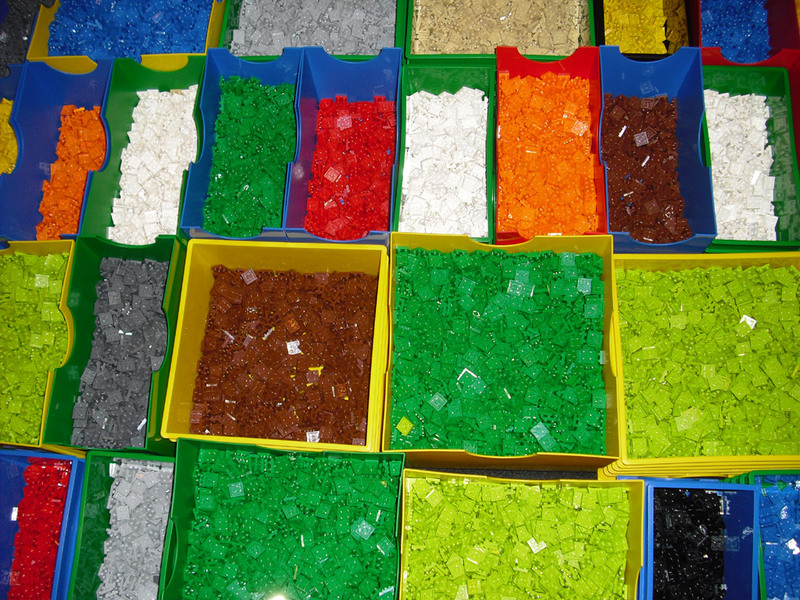 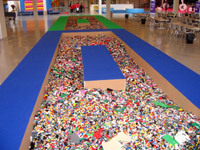 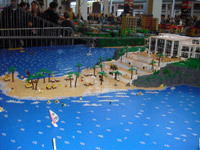 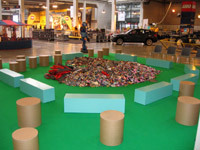 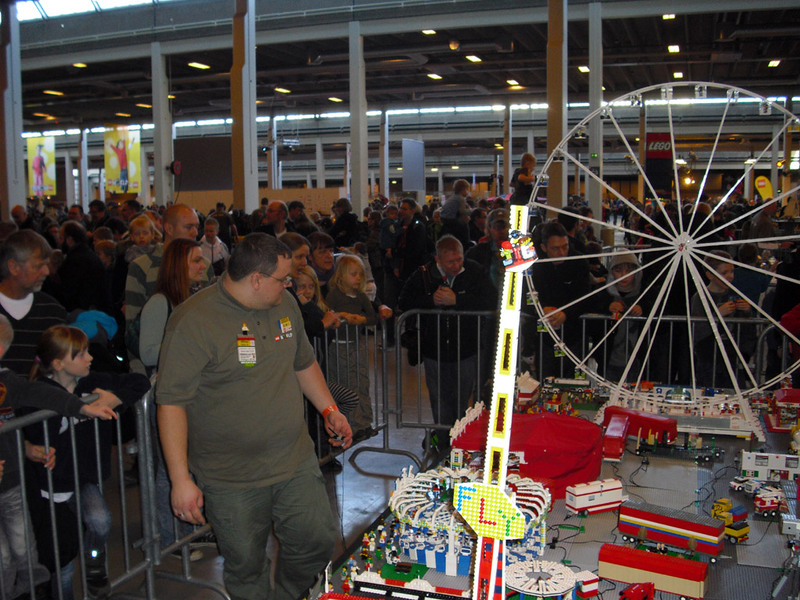 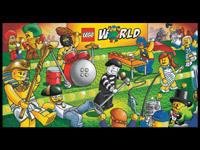 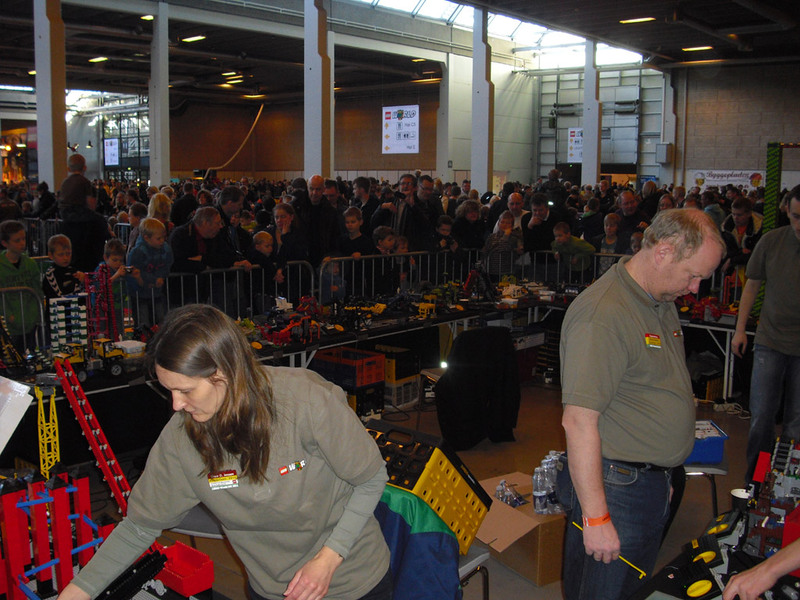 You could find models from nearly 40 Danish, German, Croatian, Swedish and Dutch Lego fans in the 1,500 sqm Lego fan area. 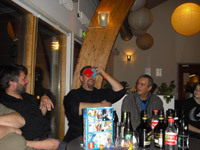 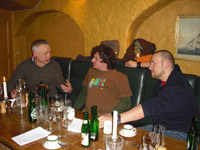 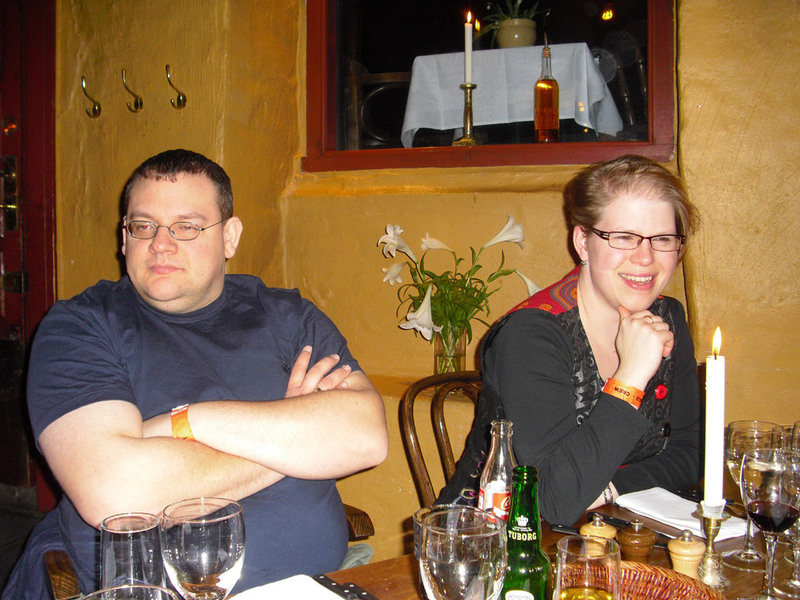 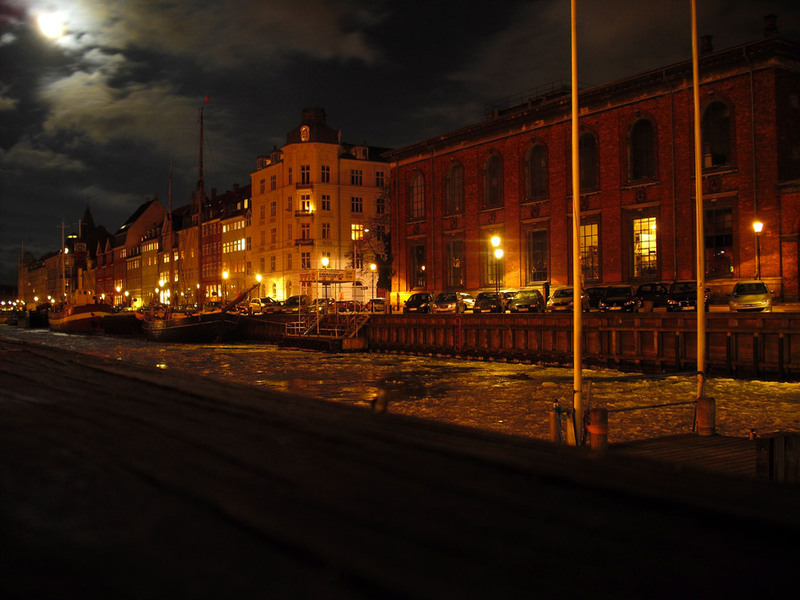 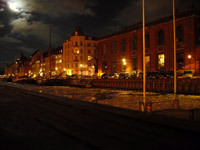 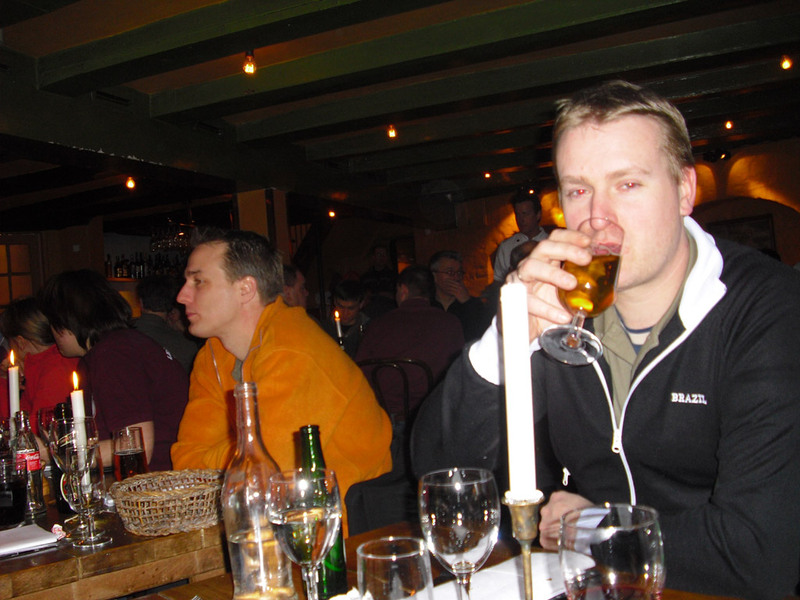 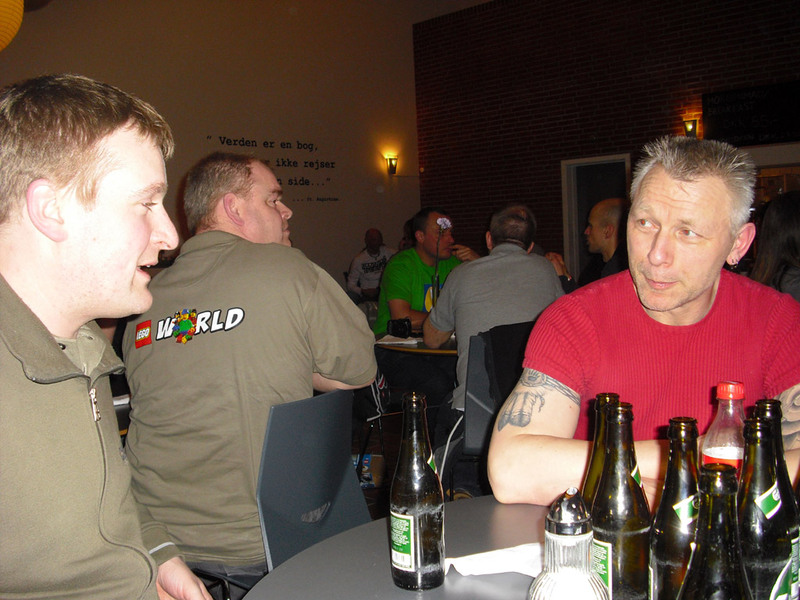 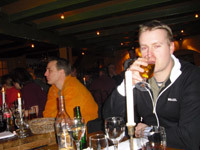 On Saturday evening all exhibitors met for the common meal in the restaurant Nyhavn Færgekro. 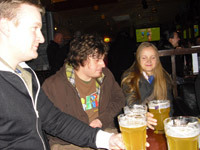 After that some went again into the Irish Rover like Thursday evening to enjoy the great live music and to have some drinks.